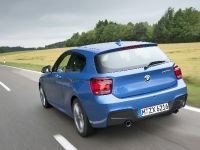 The new BMW 1 Series is now being launched in three-door sporty and elegant versions, along with additional engine choices. 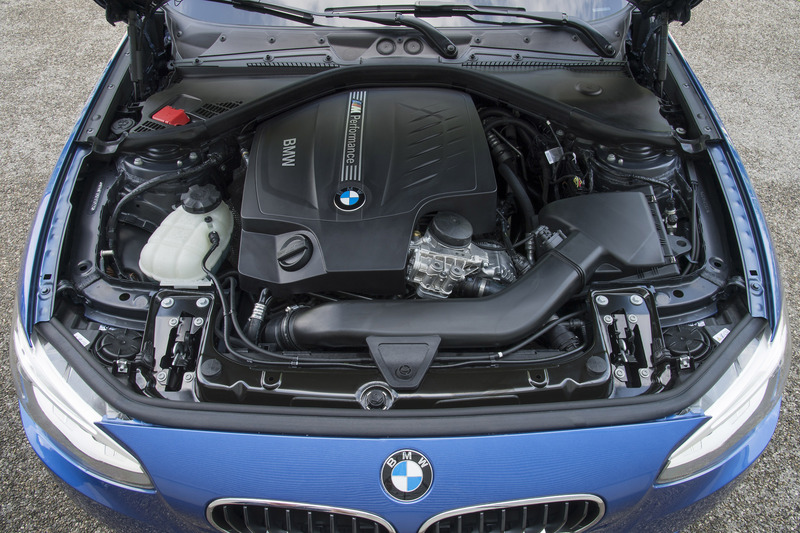 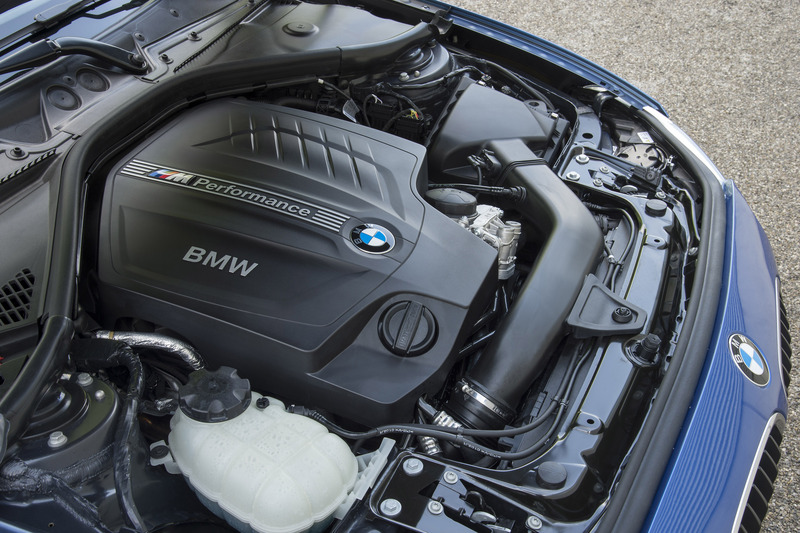 The powerful petrol and diesel engines are empowered by BMW TwinPower Turbo technology. 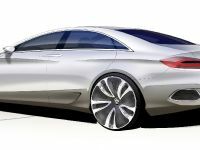 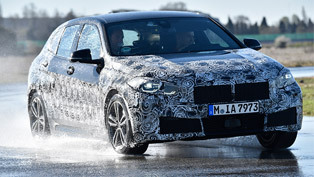 In addition the new BMW has the latest chassis design and rear-wheel drive, which is unique for a vehicle in this class. 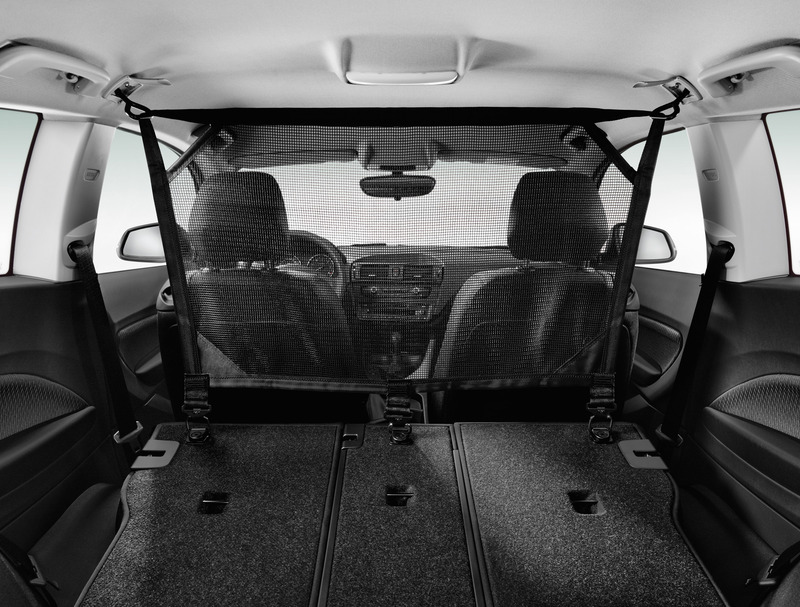 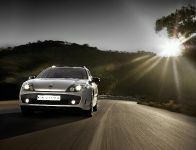 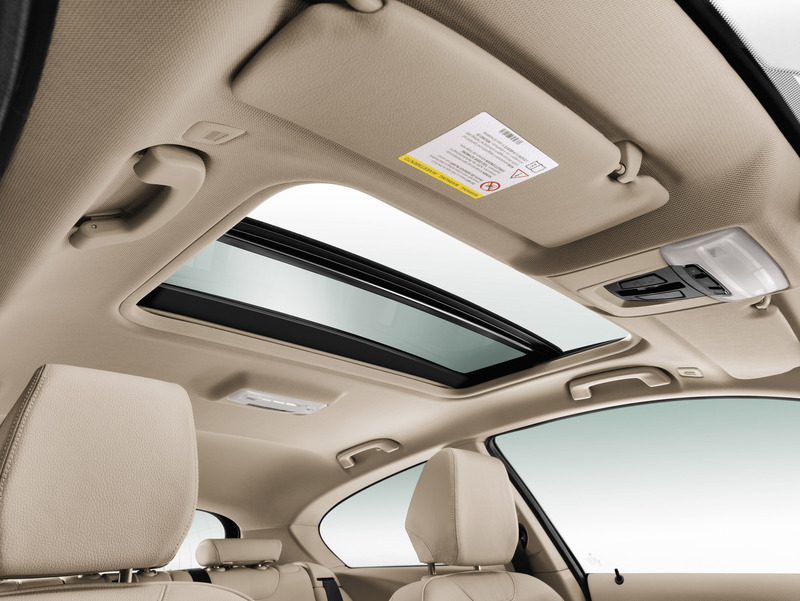 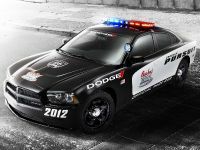 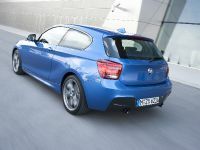 And this is exactly what has to assure you that this vehicle will offer you sporty and dynamic driving experience. 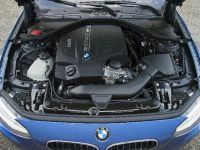 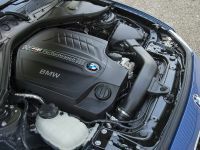 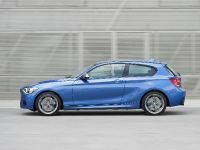 The first BMW M Performance automobile for the compact segment is the BMW M135i equipped with a six-cylinder petrol engine with M Performance TwinPower Turbo technology. 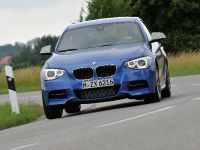 Thanks to it, the BMW develops 235 kW (320 hp). 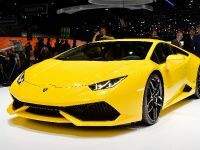 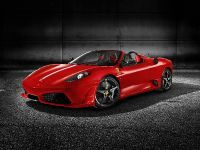 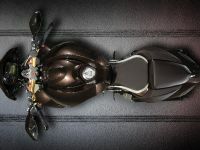 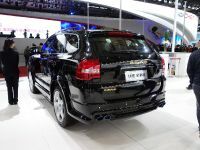 In addition it delivers its typical M precision-engineered and high-performance chassis, and has now optimized aerodynamics of the body style and an exclusive interior design. 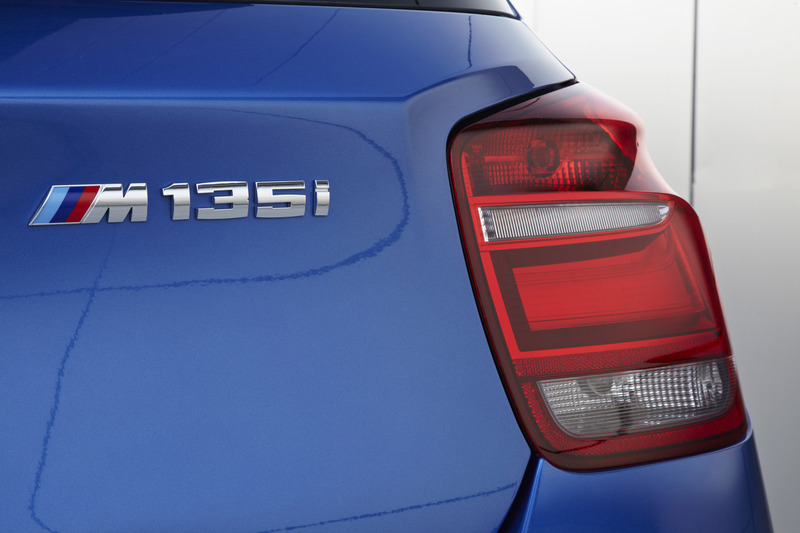 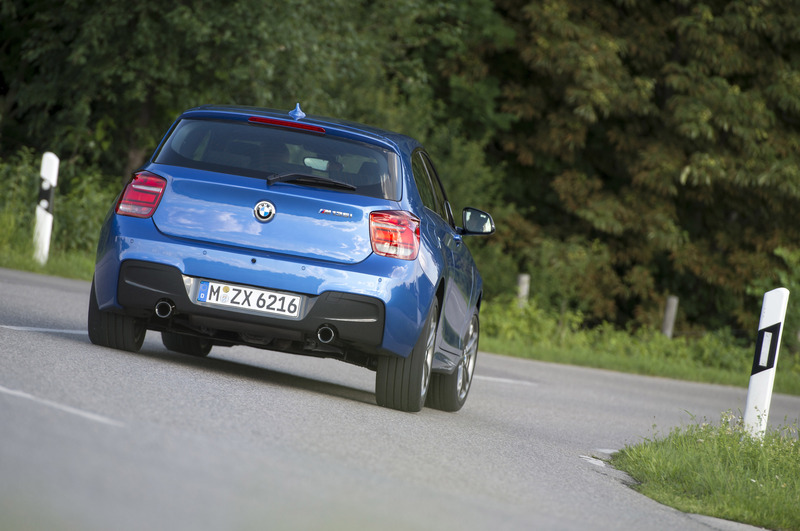 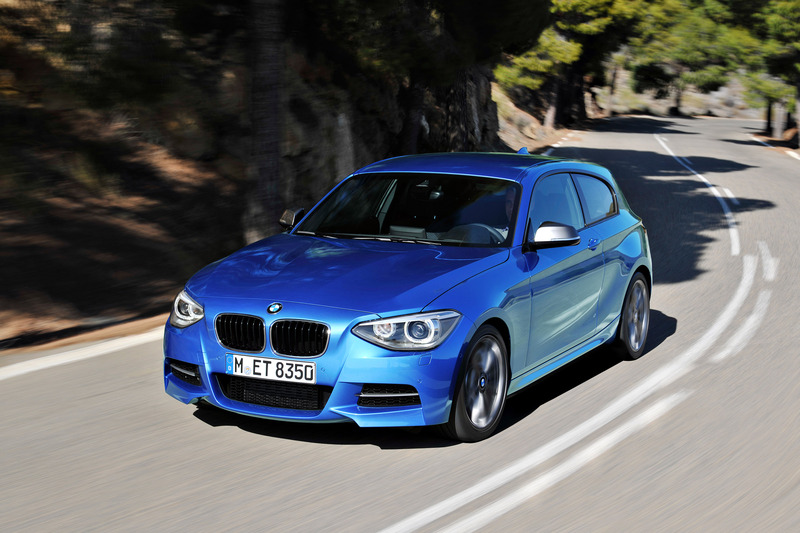 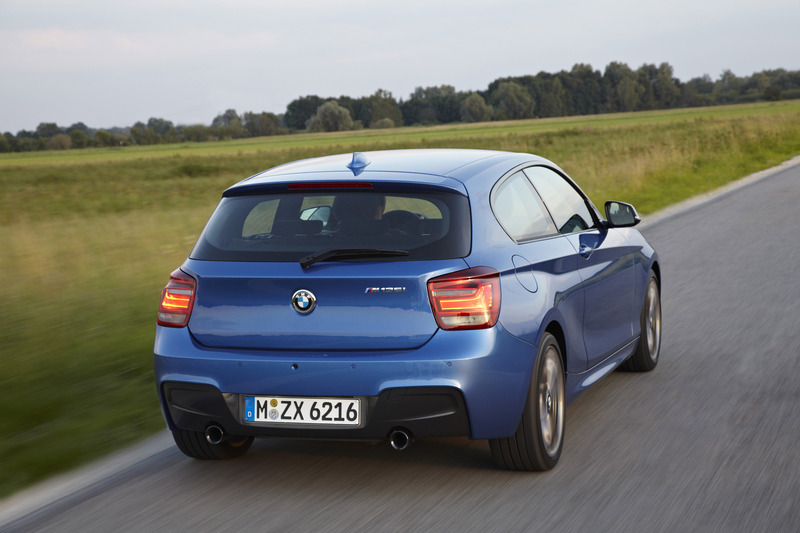 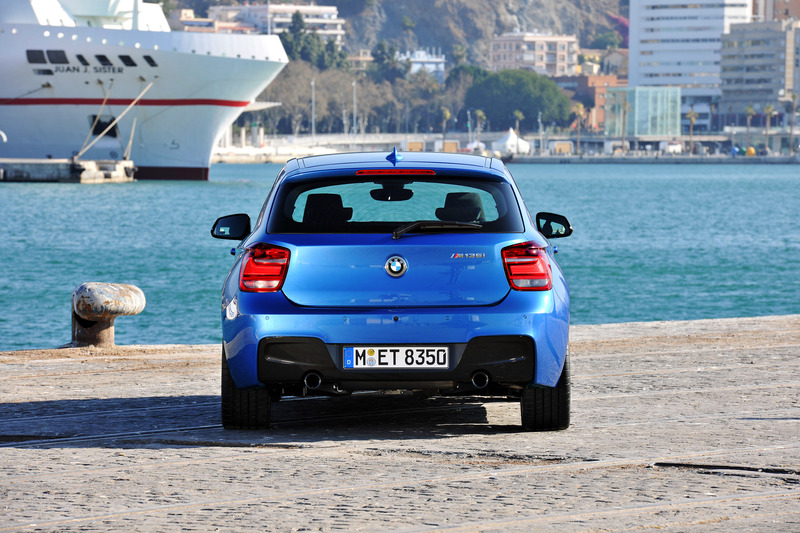 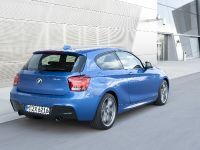 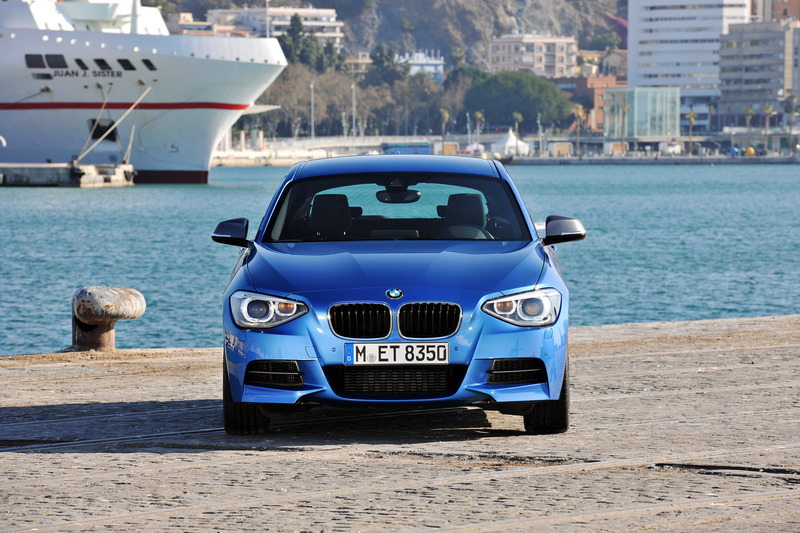 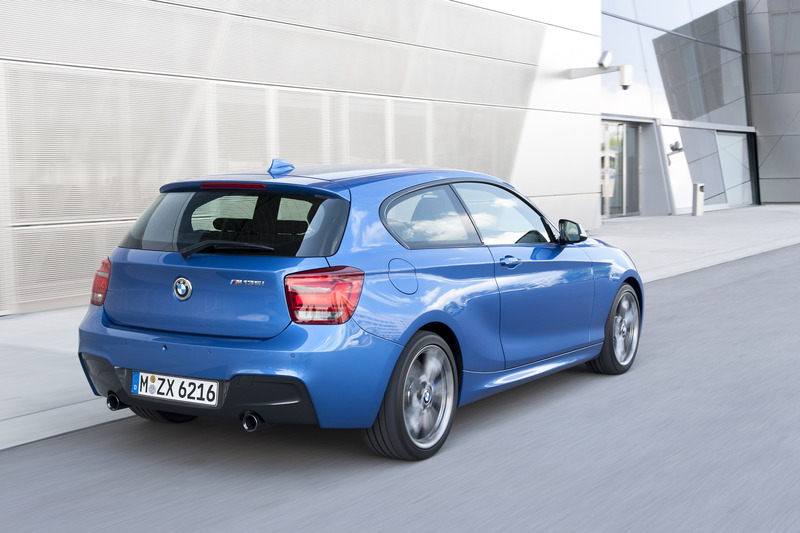 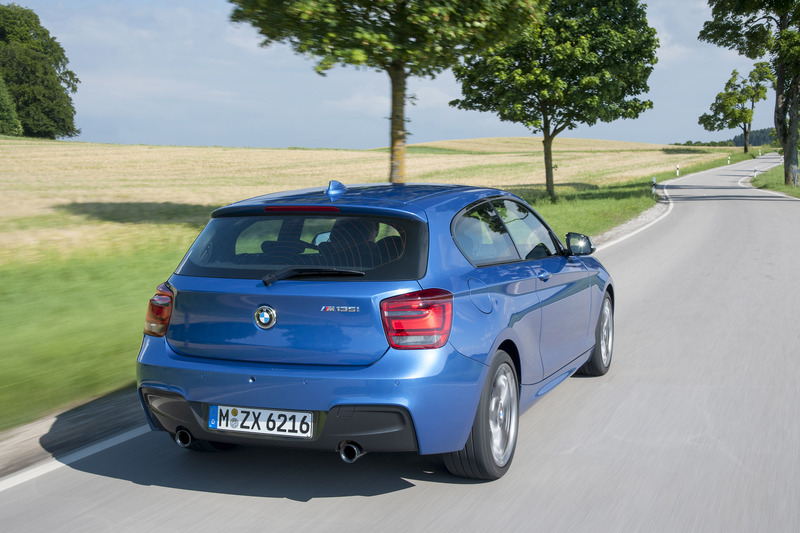 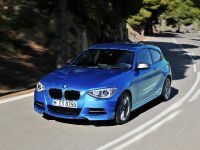 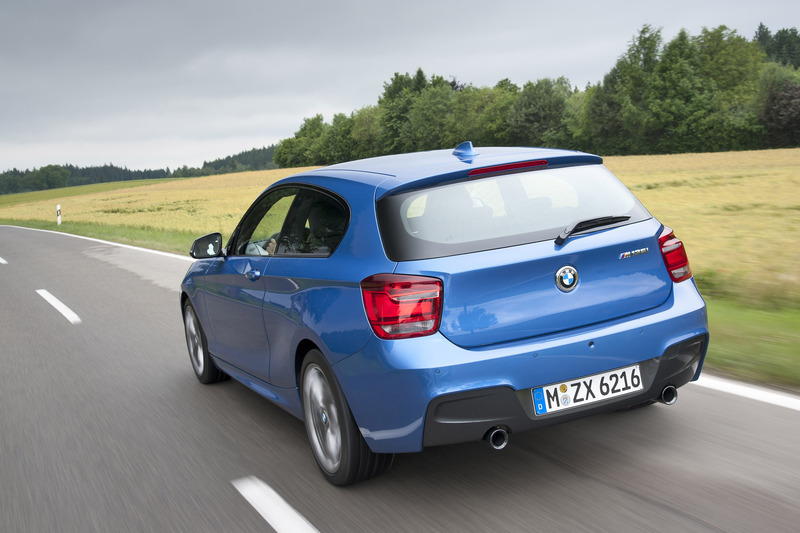 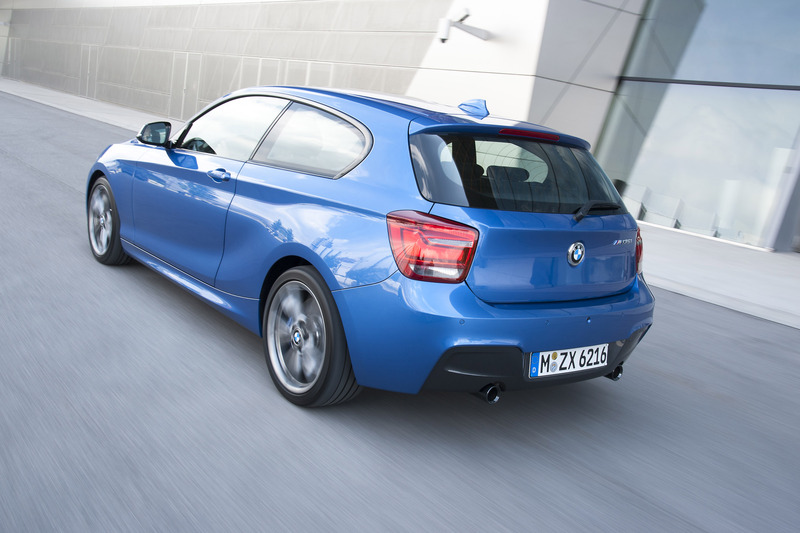 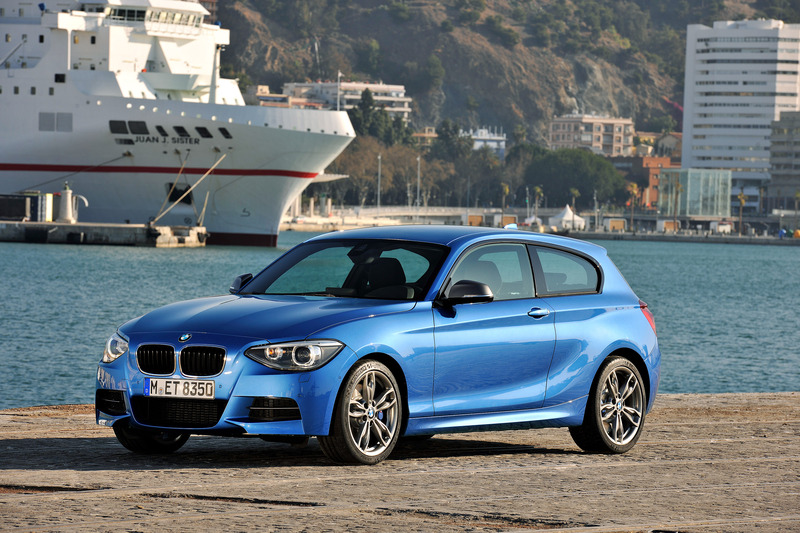 A new entry-level model in the 1 Series is the BMW 114i which is powered by a straight four-cylinder engine. 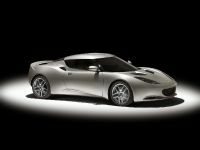 This one generates 75 kW (102 hp). 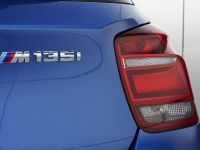 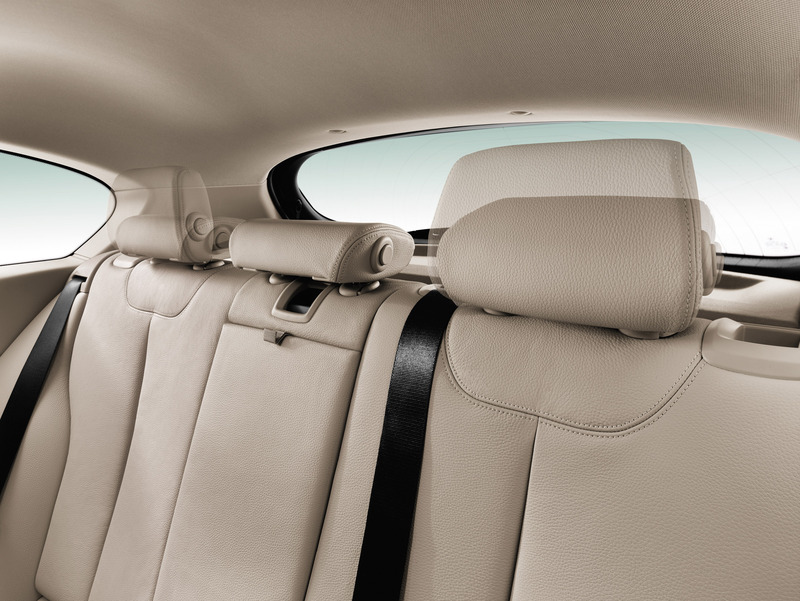 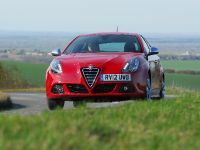 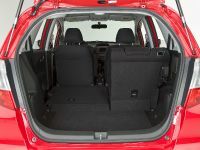 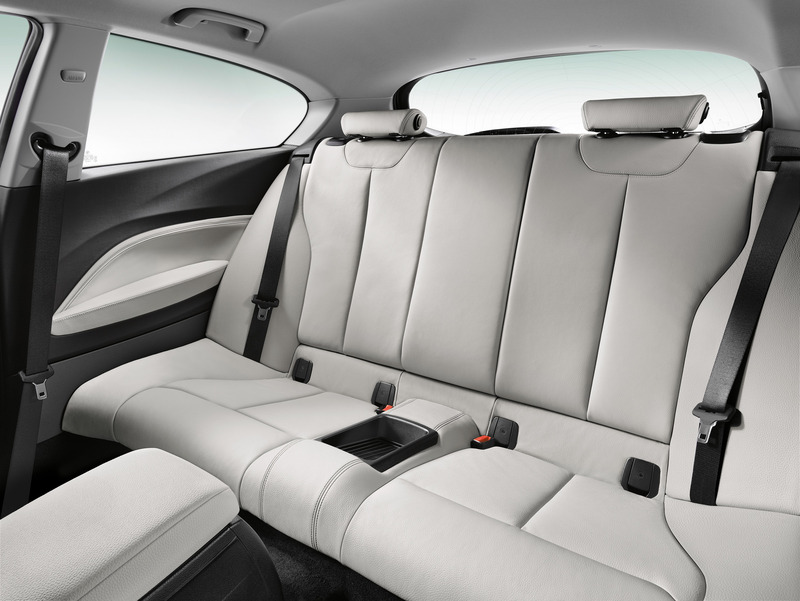 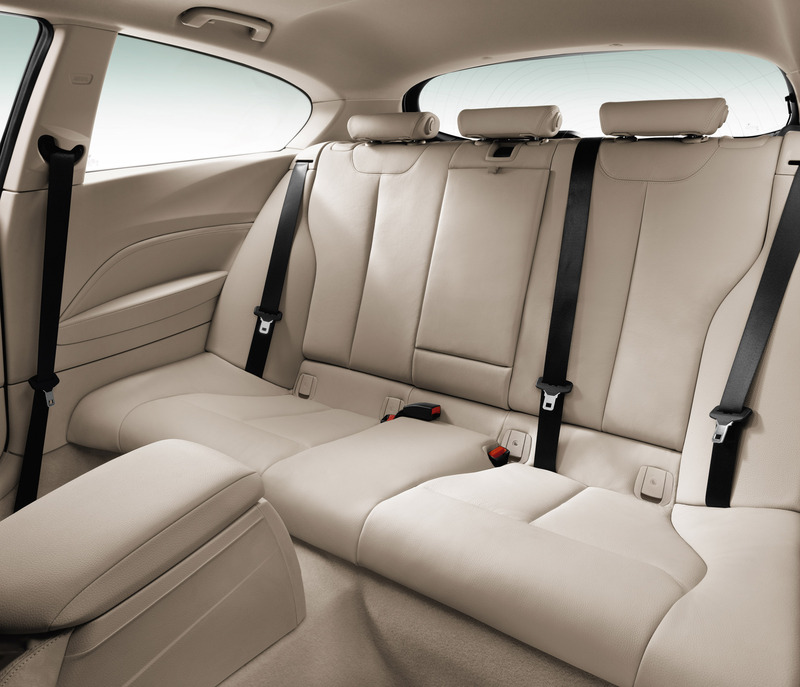 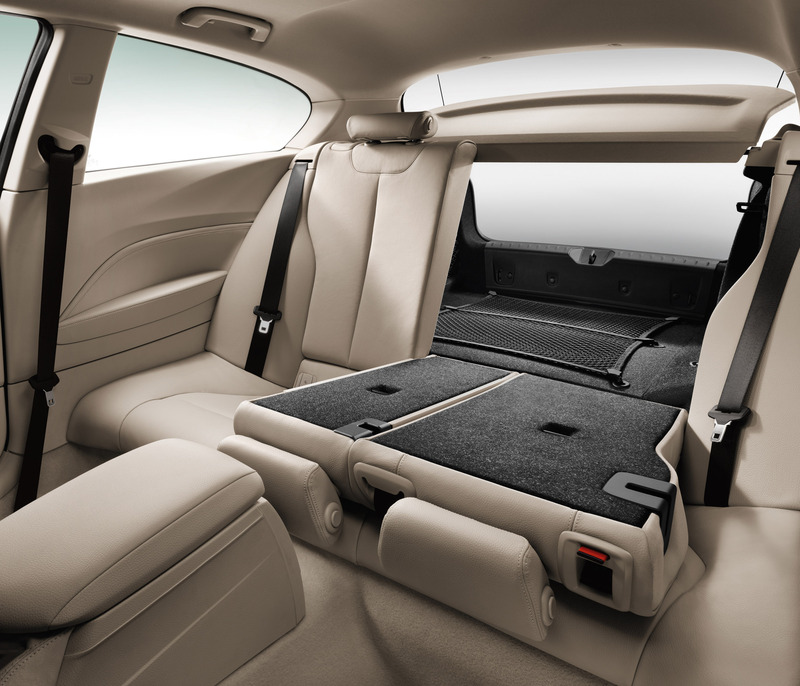 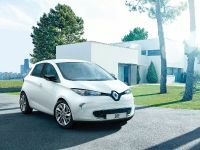 Furthermore, two additional models come with petrol engines and four – with diesel ones. 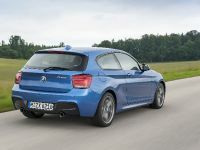 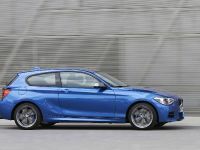 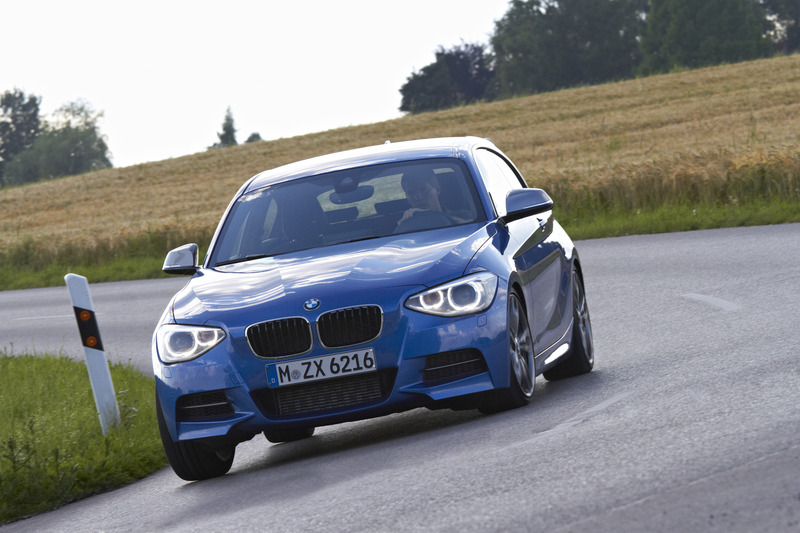 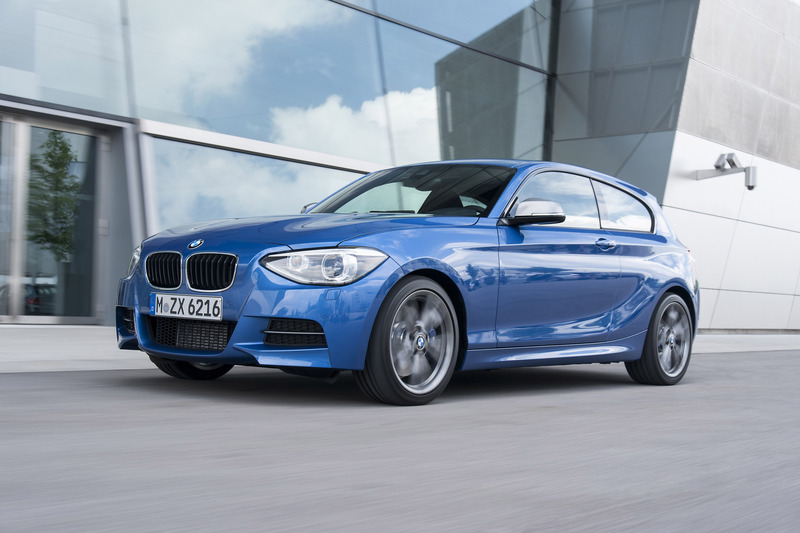 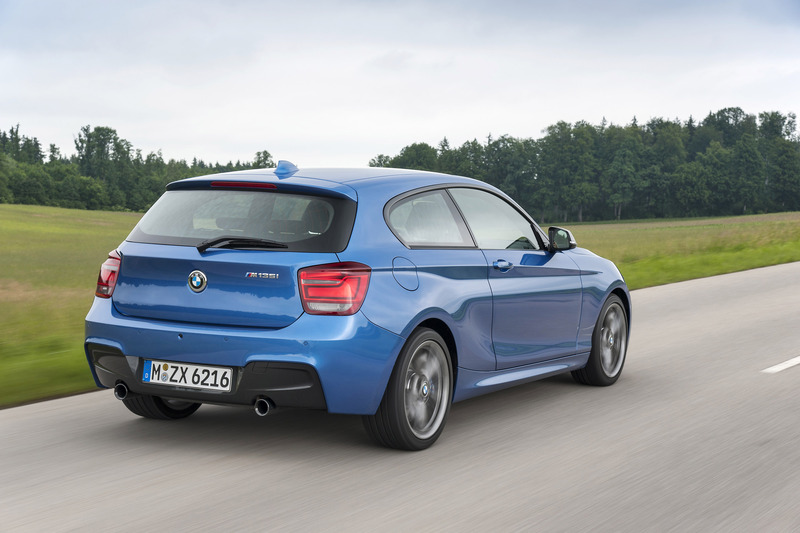 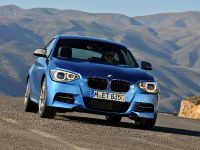 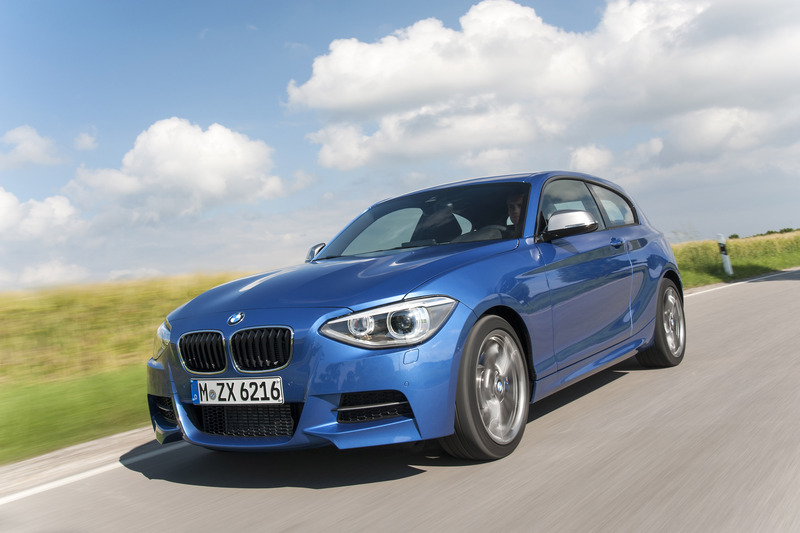 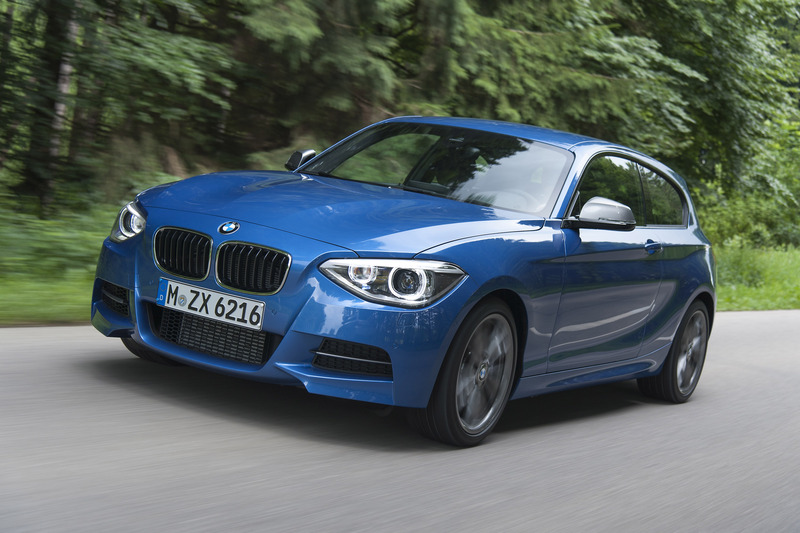 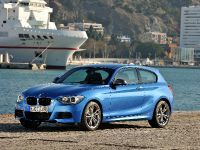 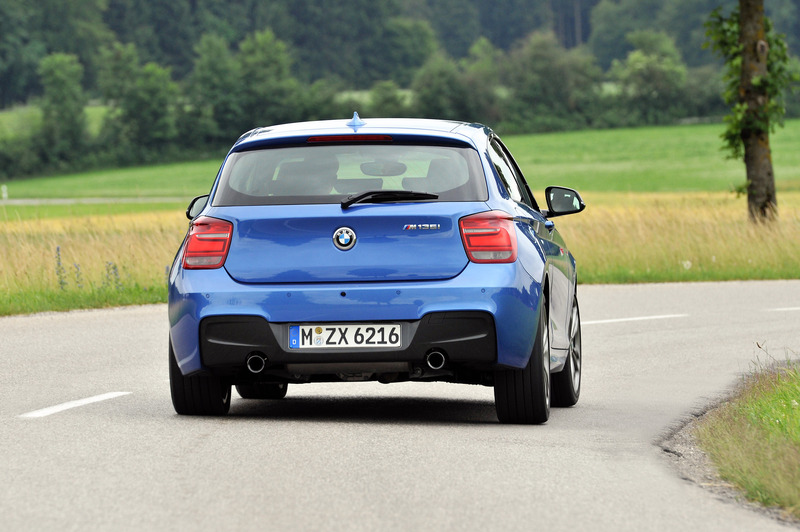 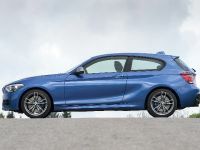 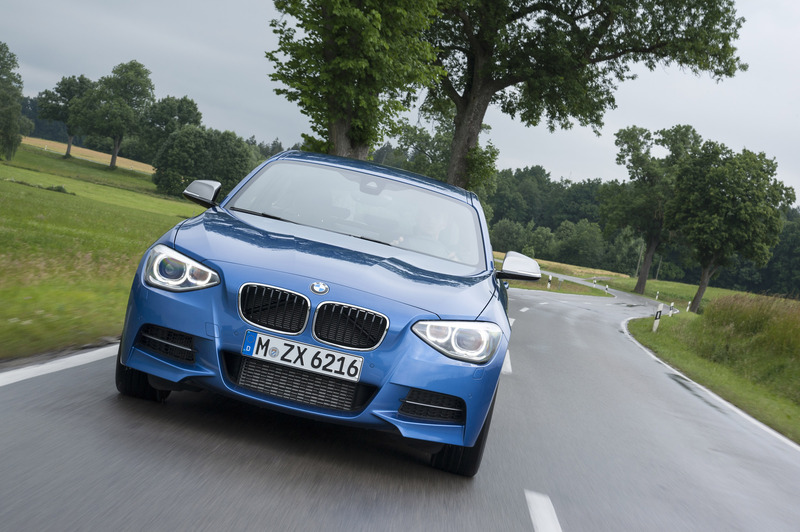 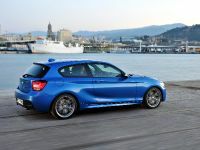 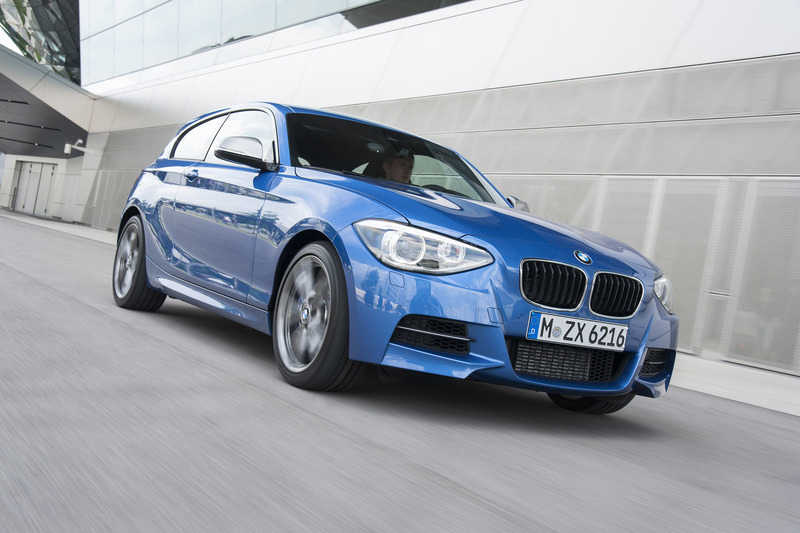 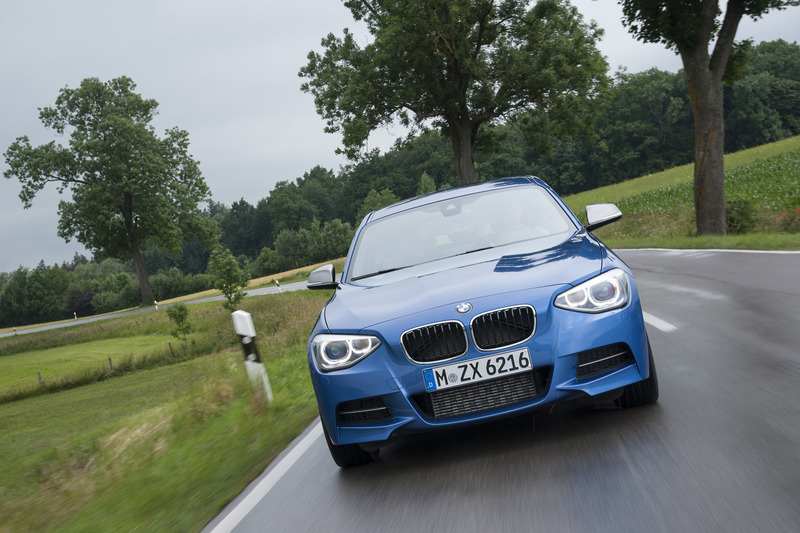 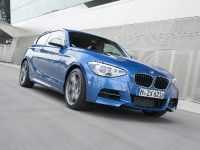 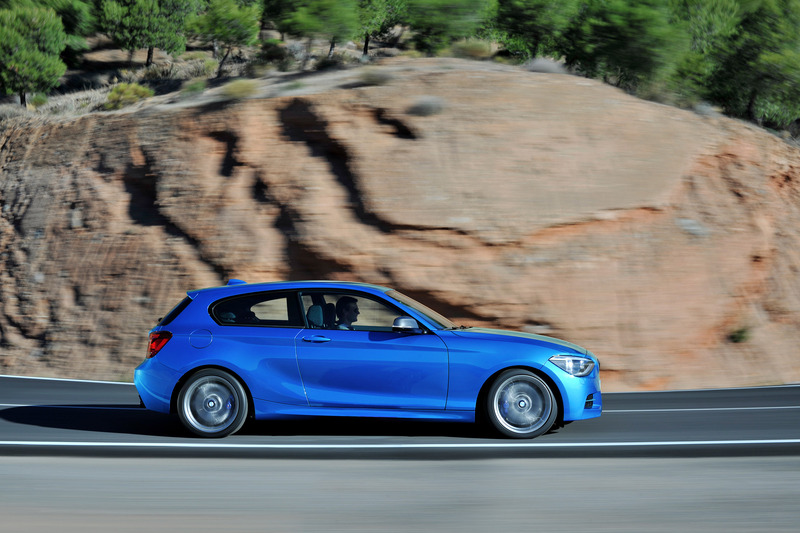 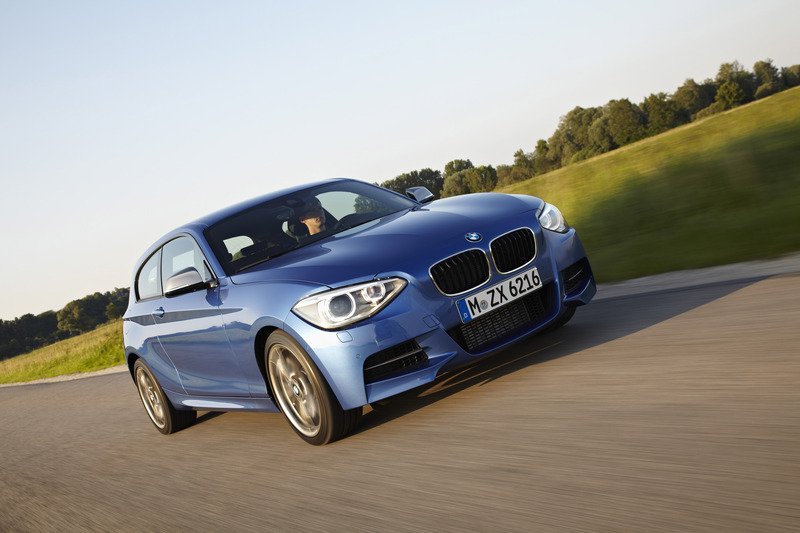 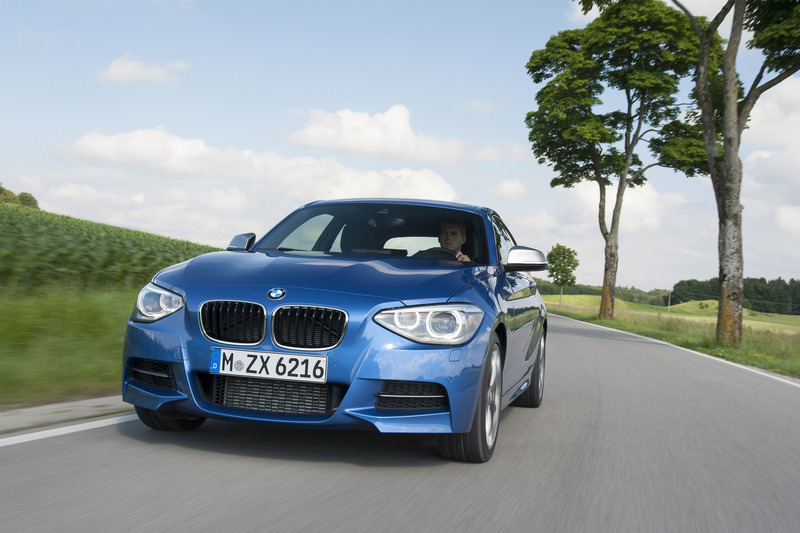 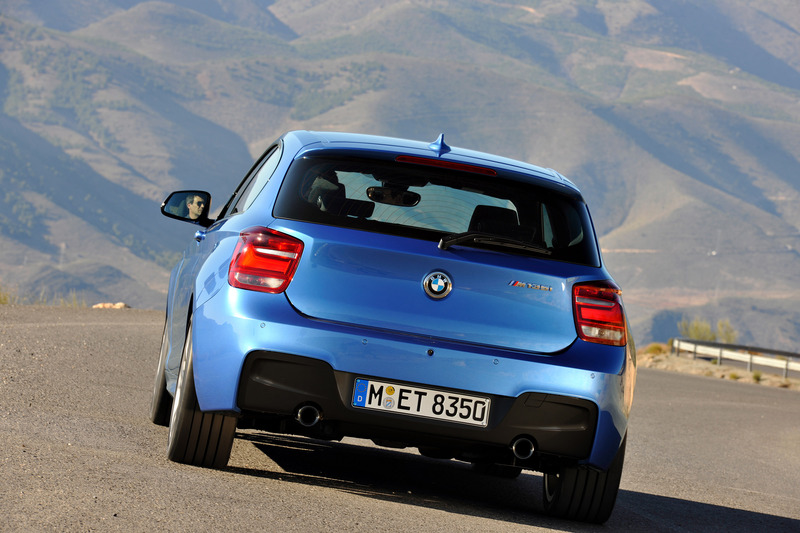 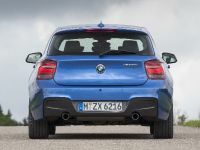 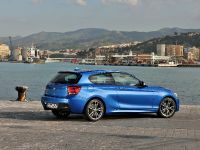 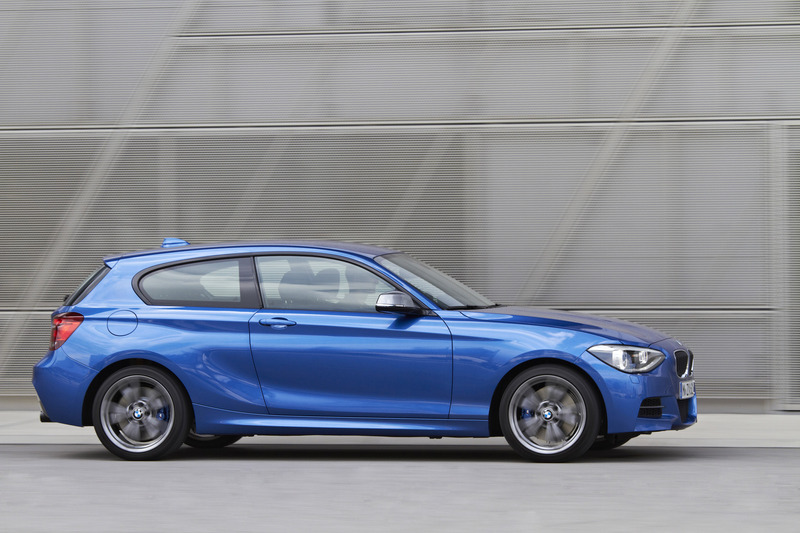 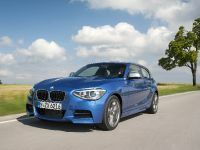 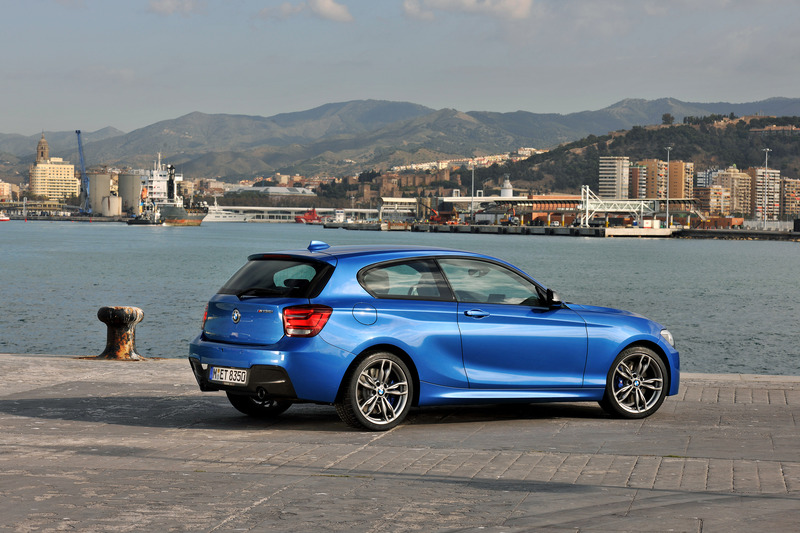 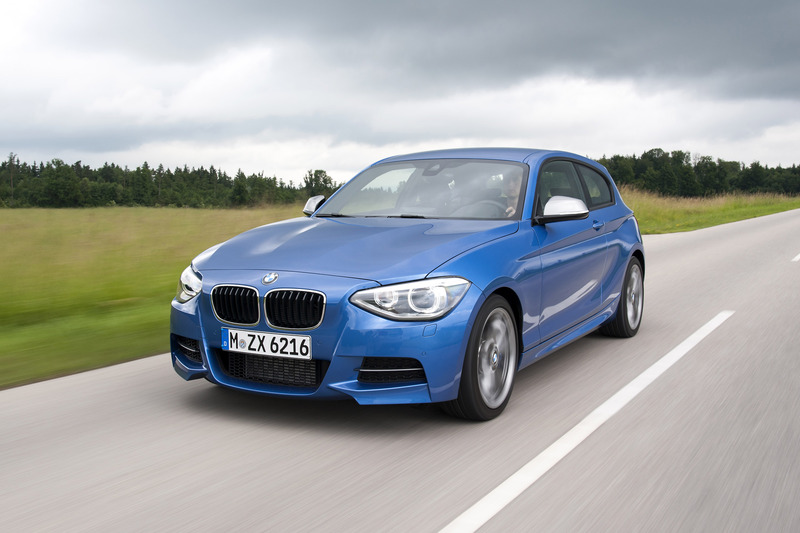 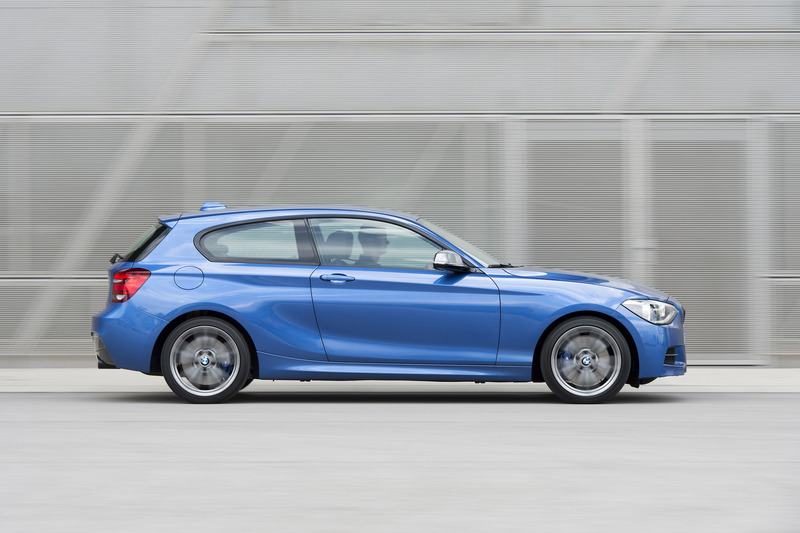 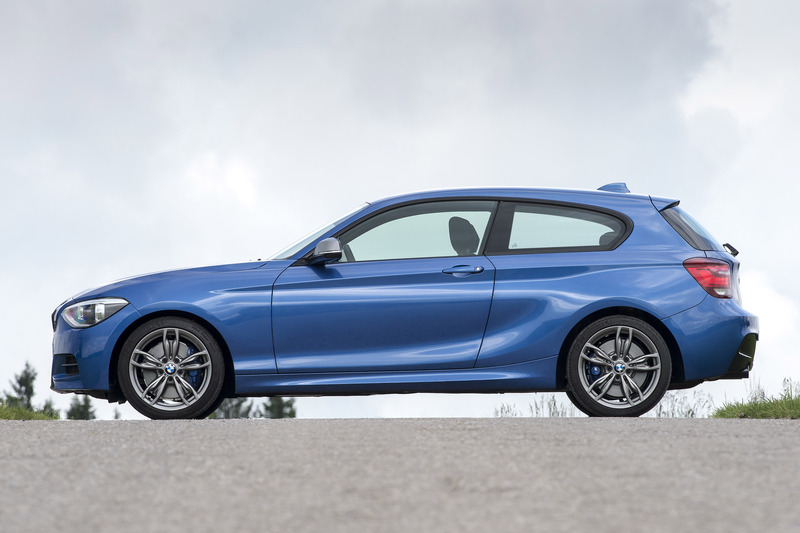 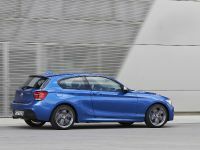 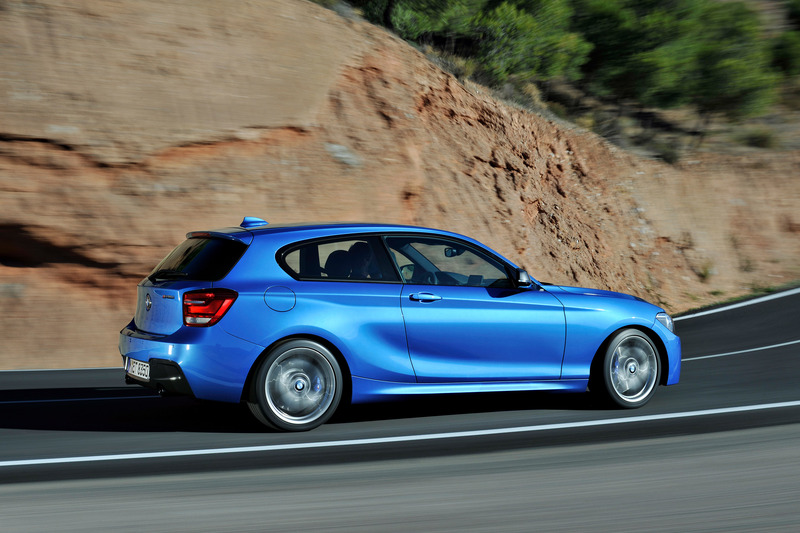 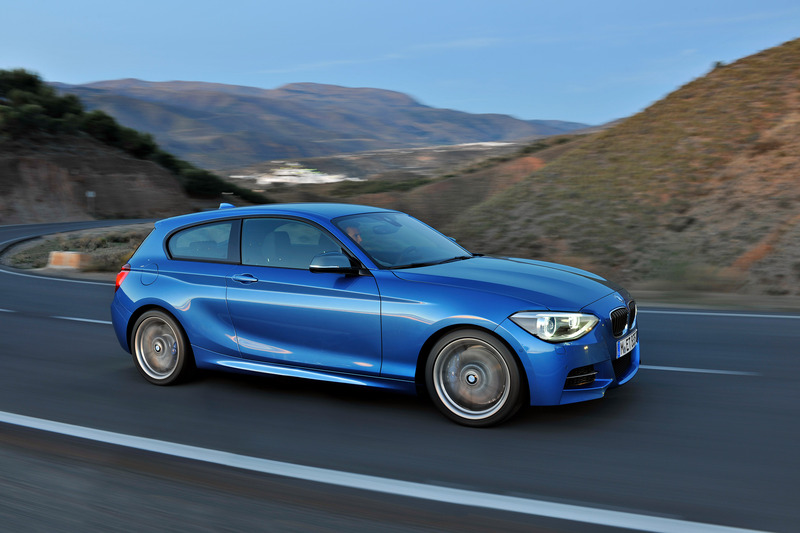 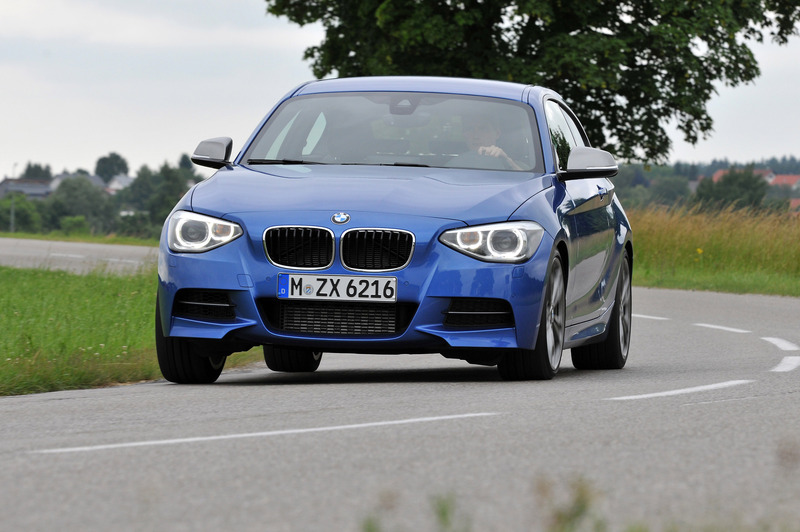 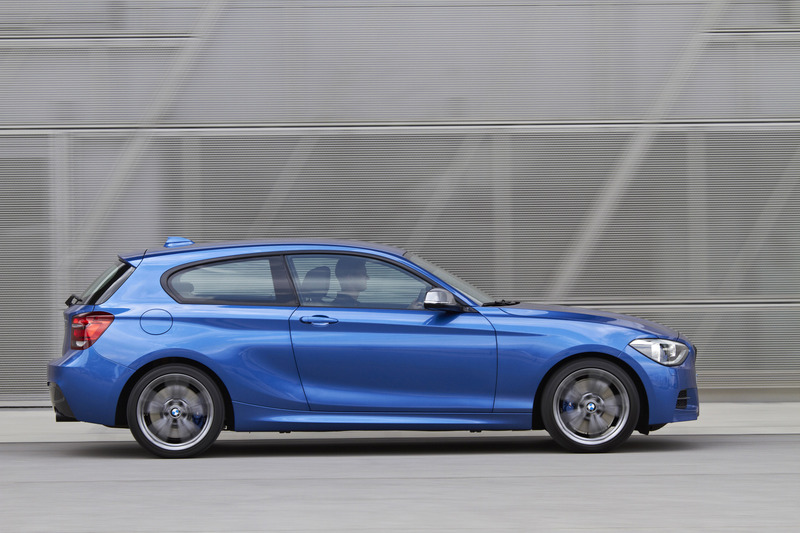 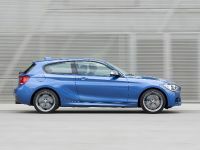 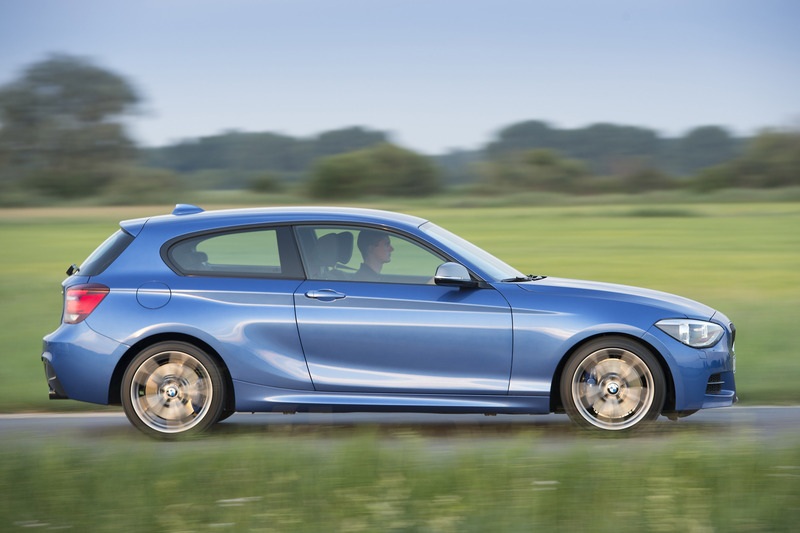 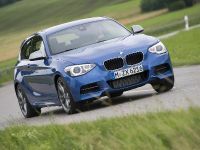 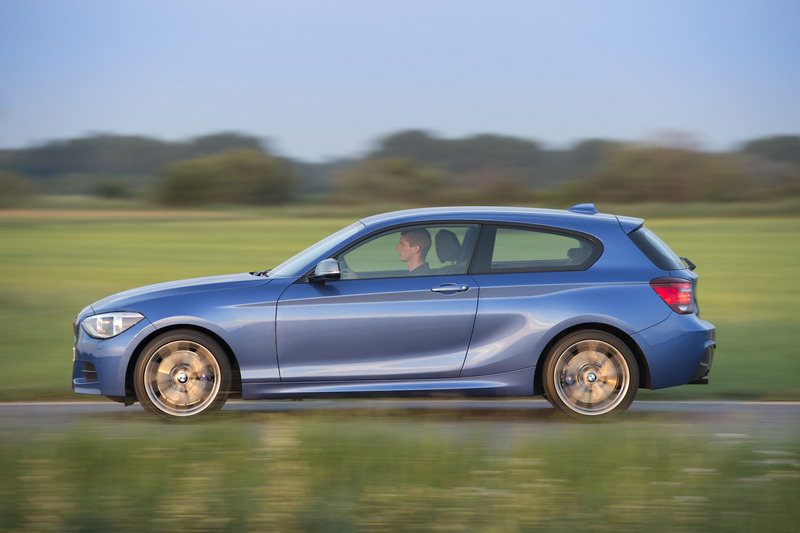 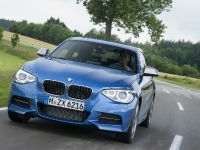 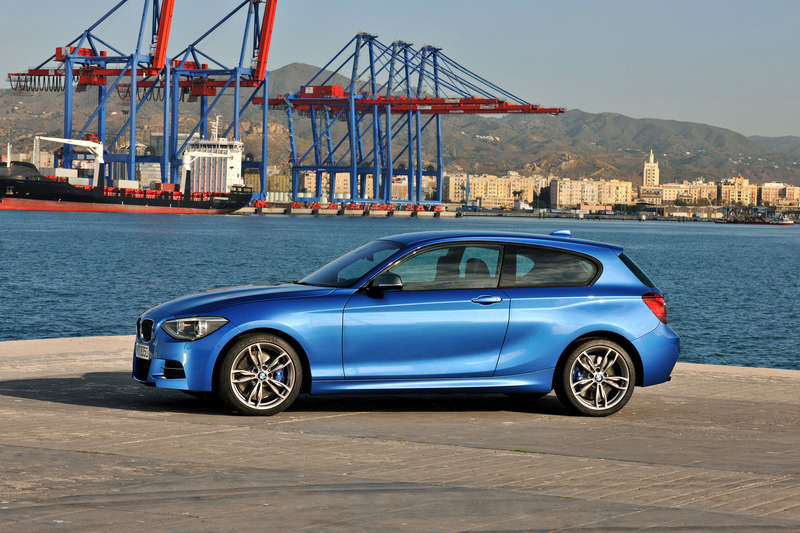 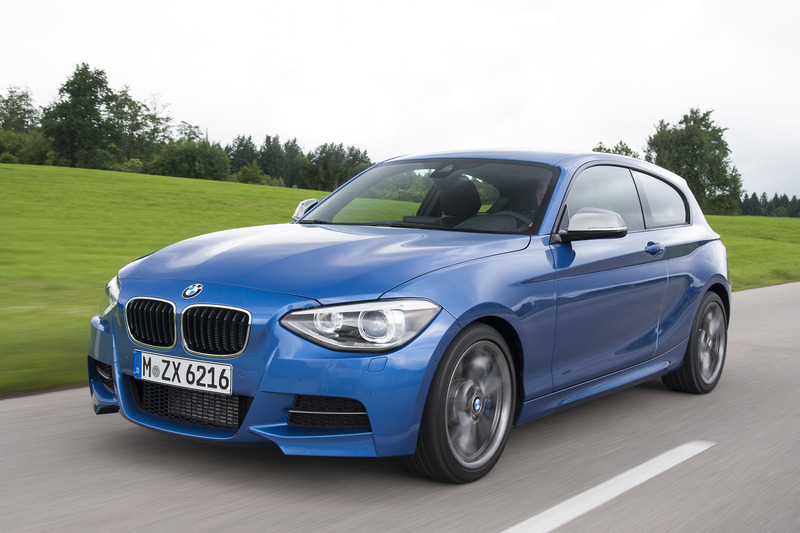 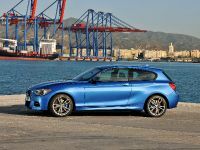 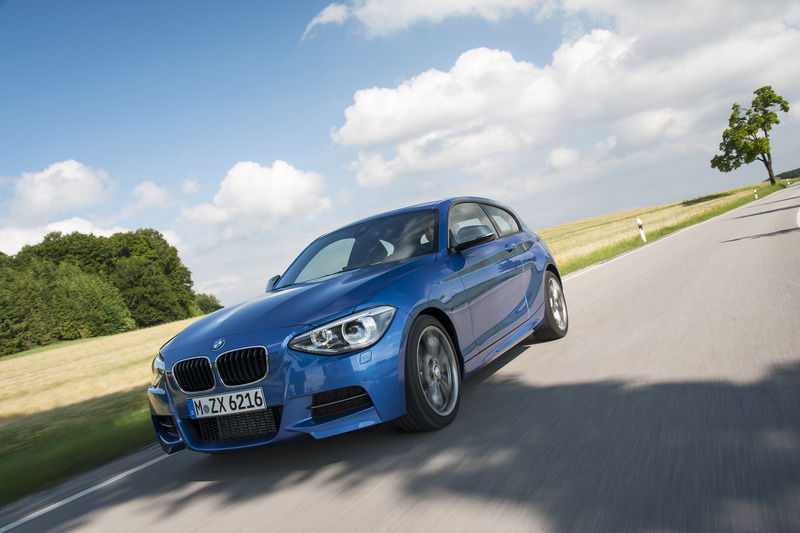 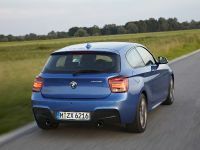 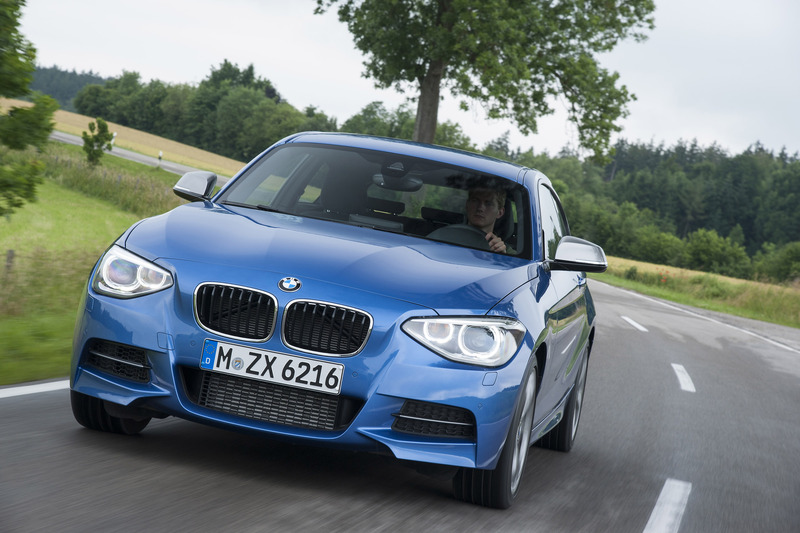 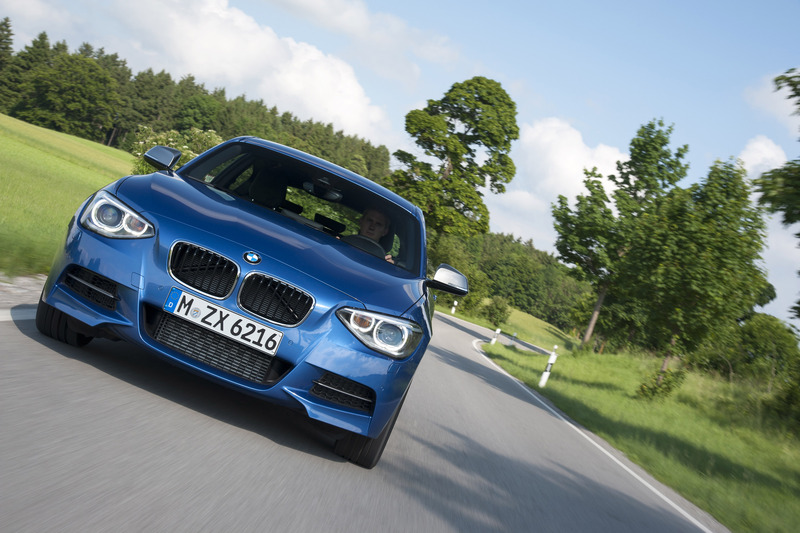 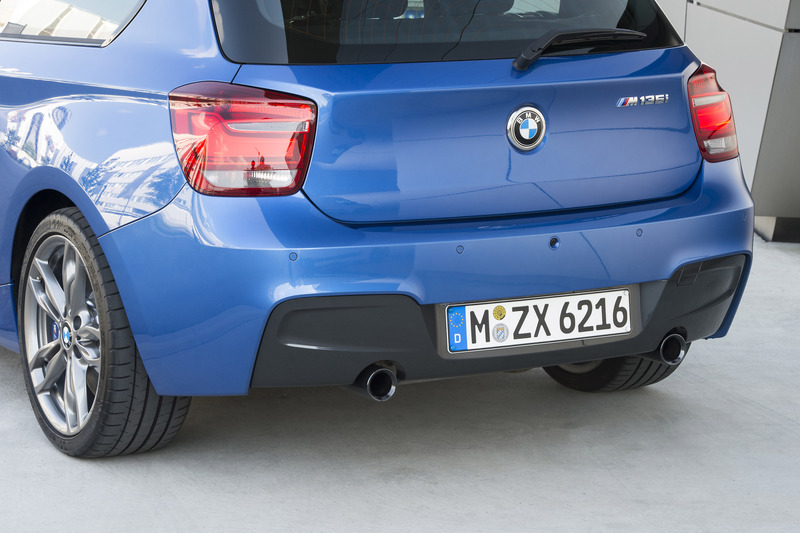 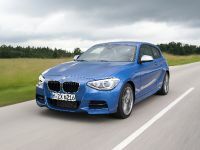 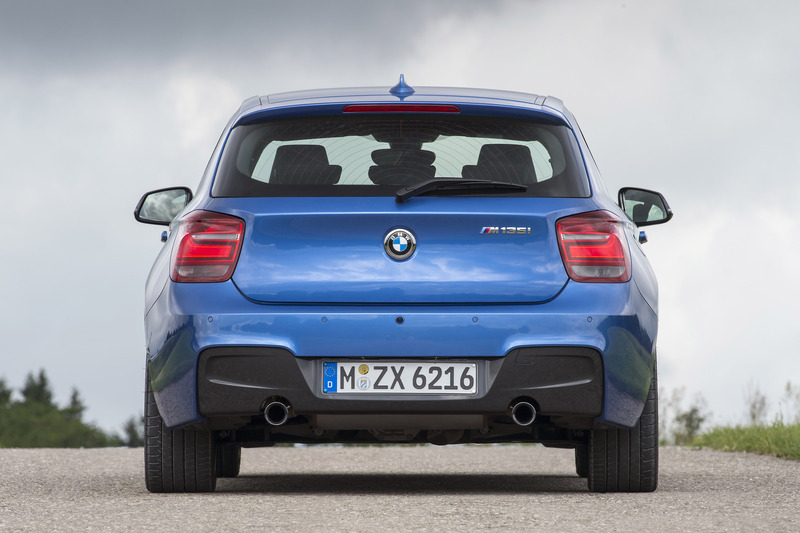 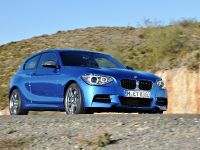 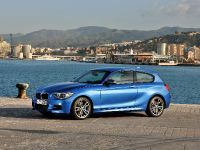 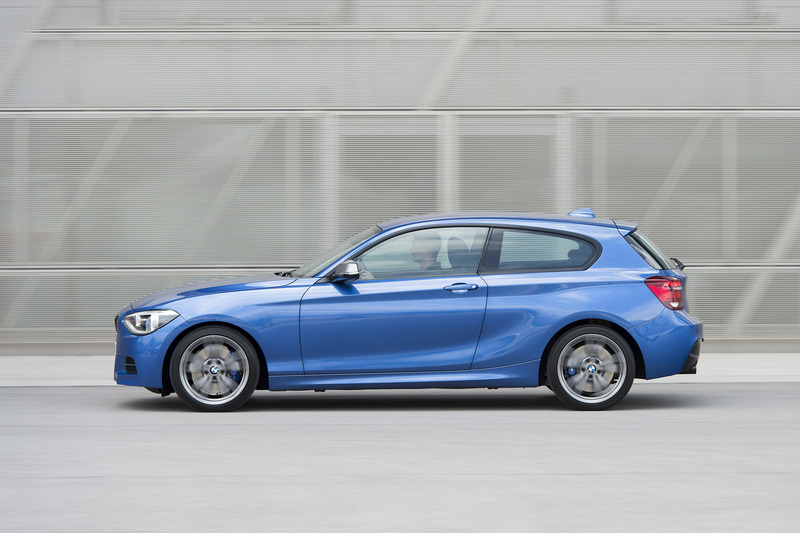 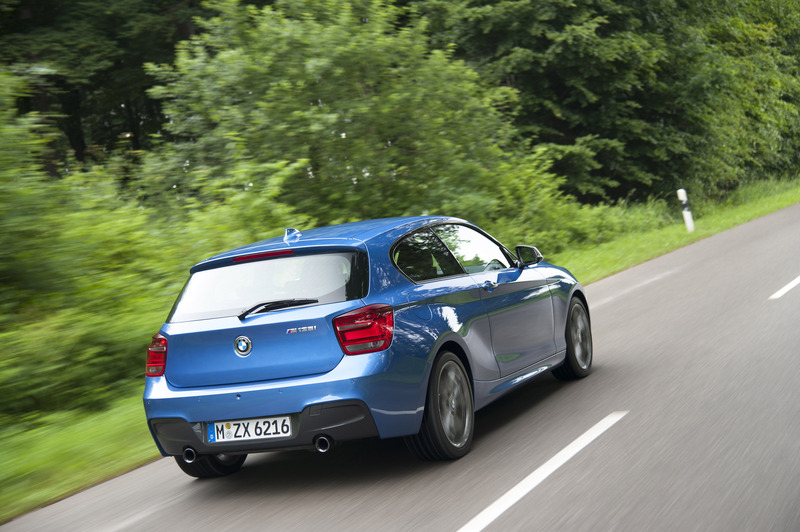 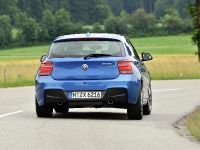 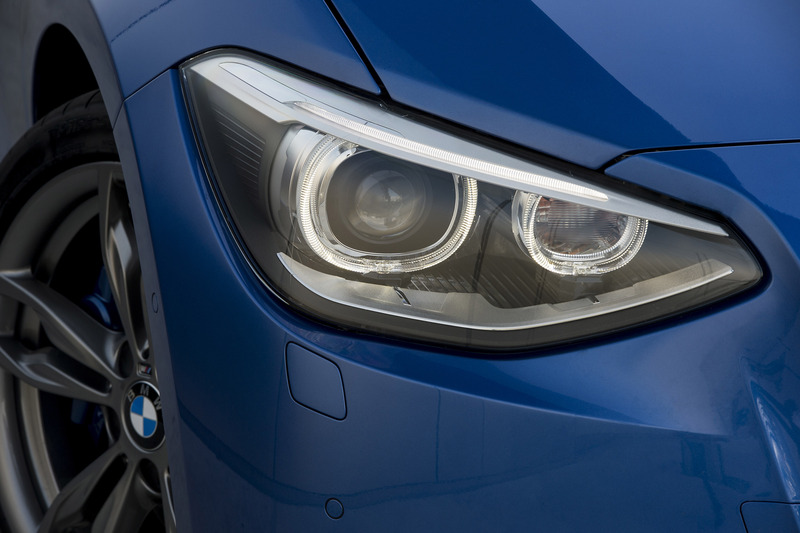 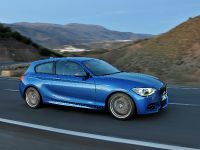 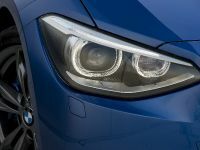 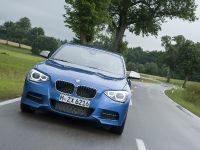 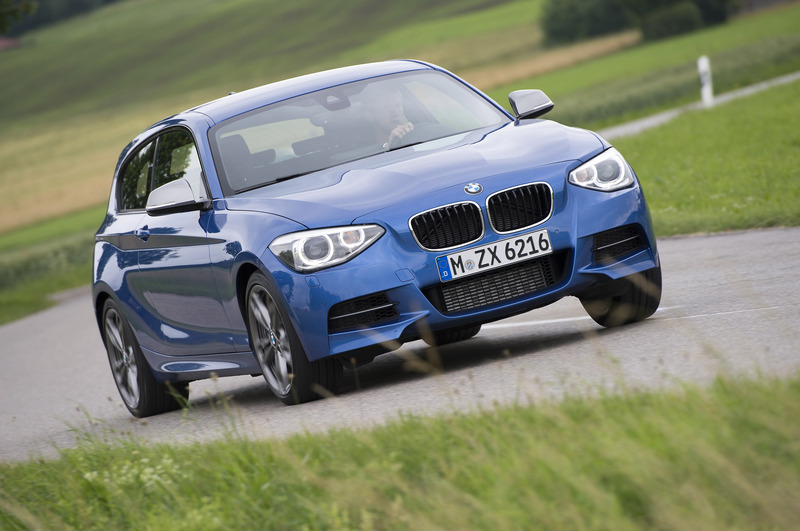 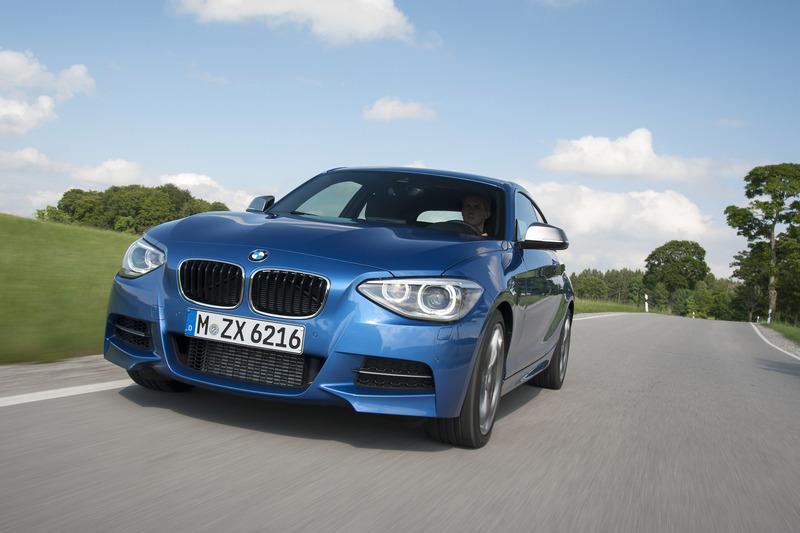 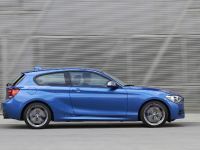 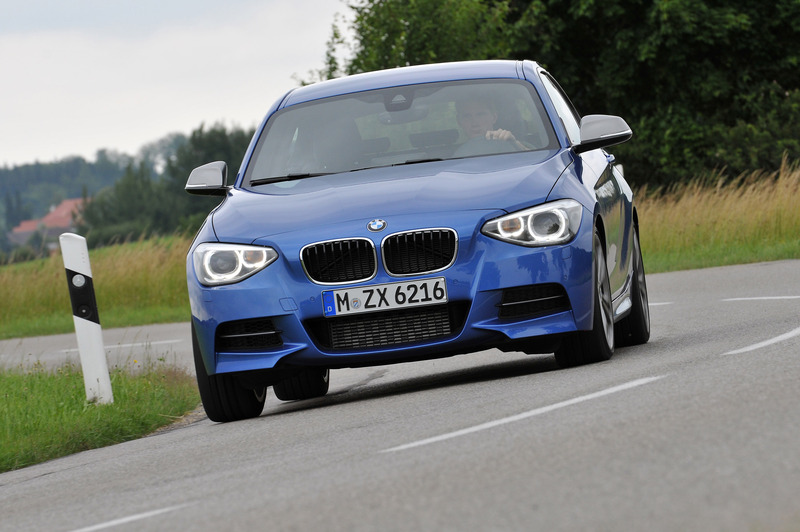 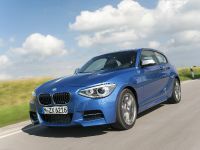 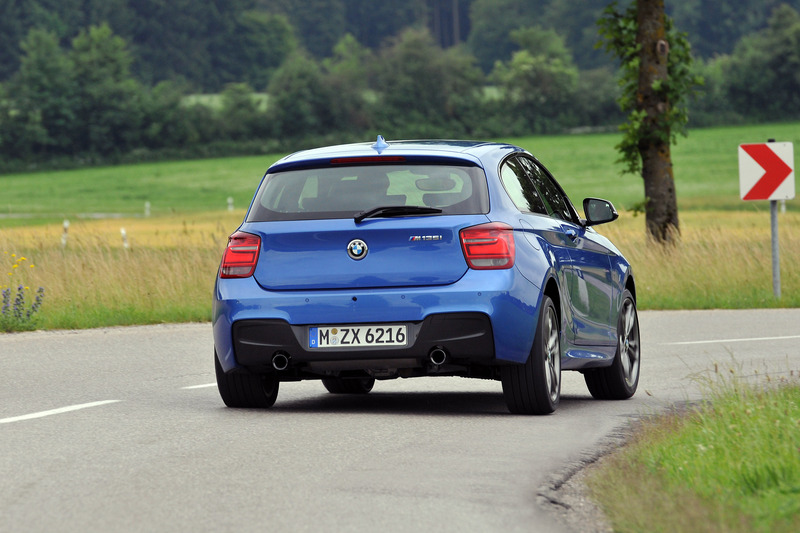 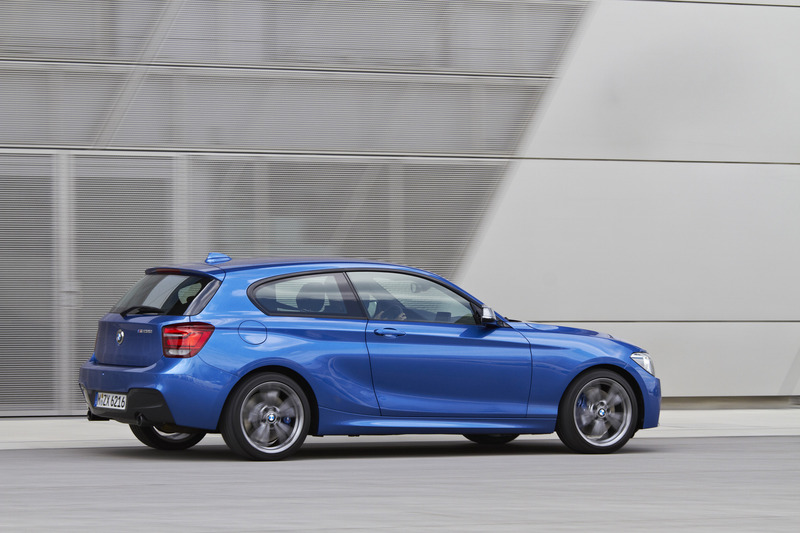 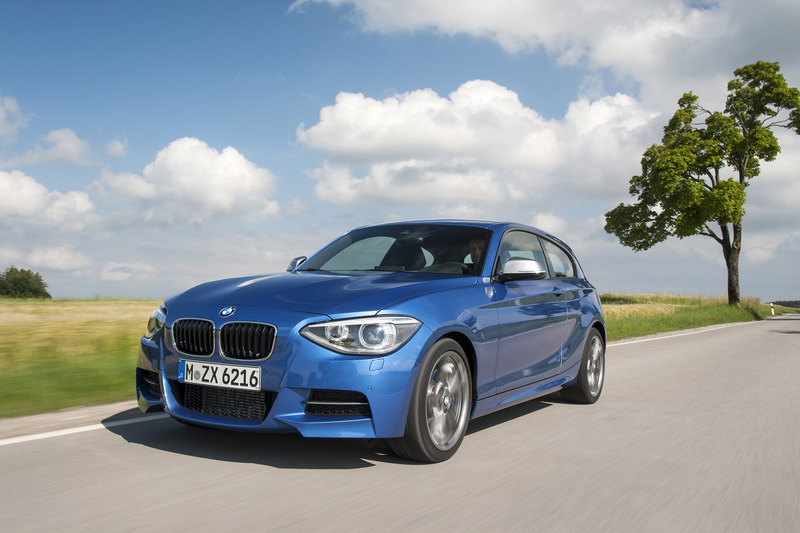 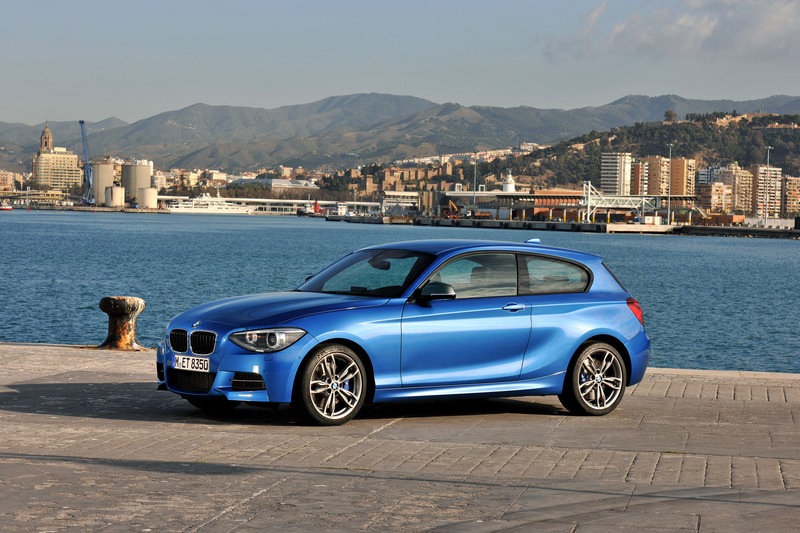 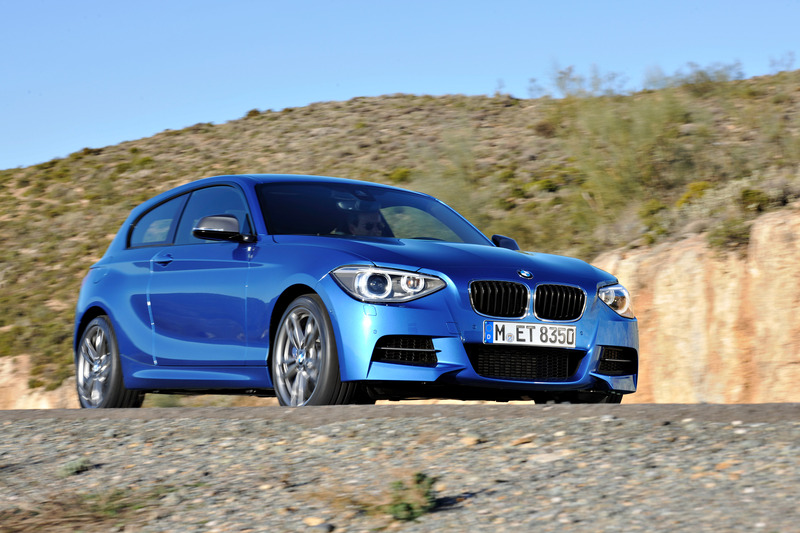 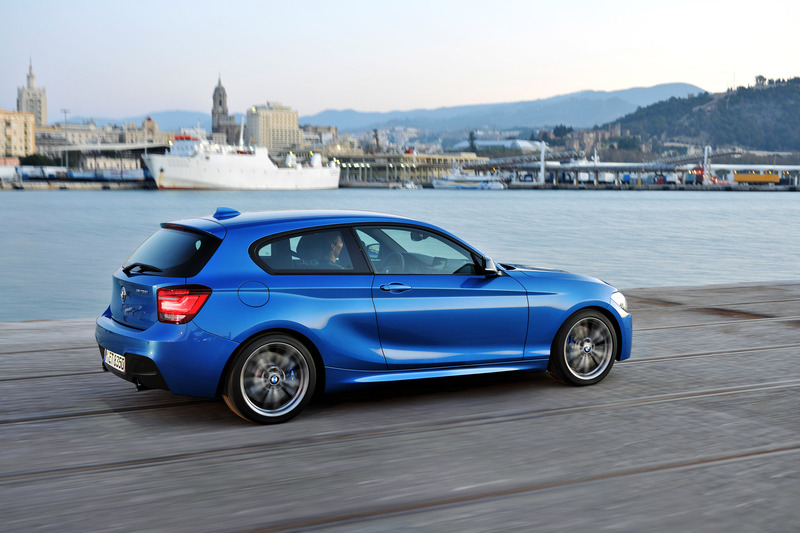 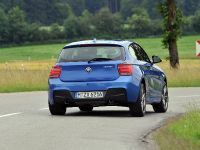 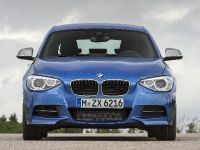 The BMW M135i and the BMW 114i will also be offered as five-door models. 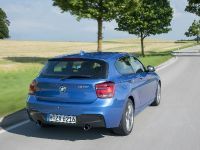 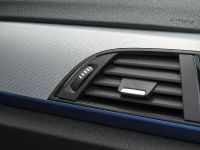 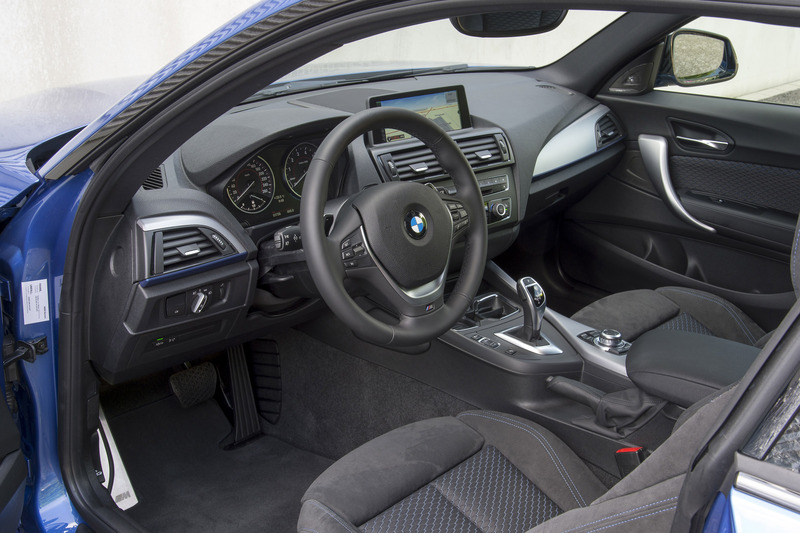 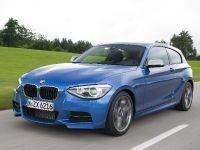 Except for the BMW 114i and the BMW 116d EfficientDynamics Edition, all models can be mated with the eight-speed automatic transmission as an option. 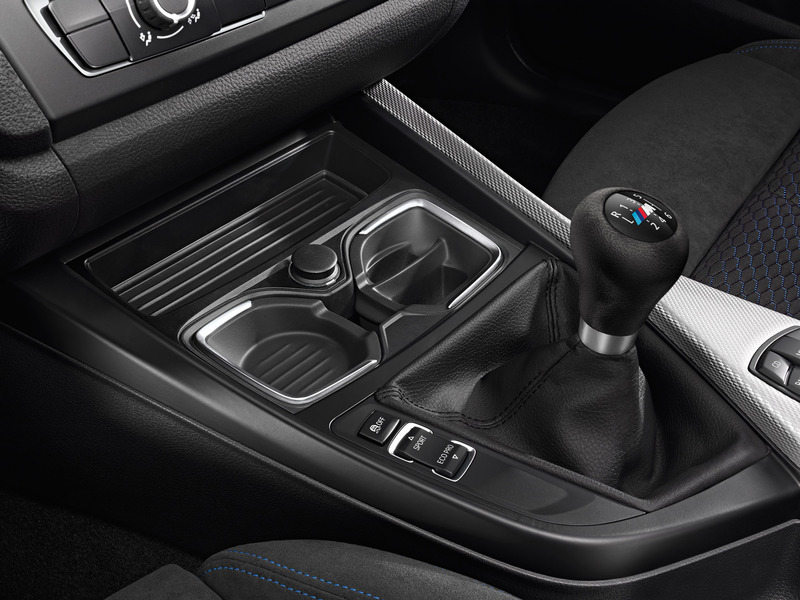 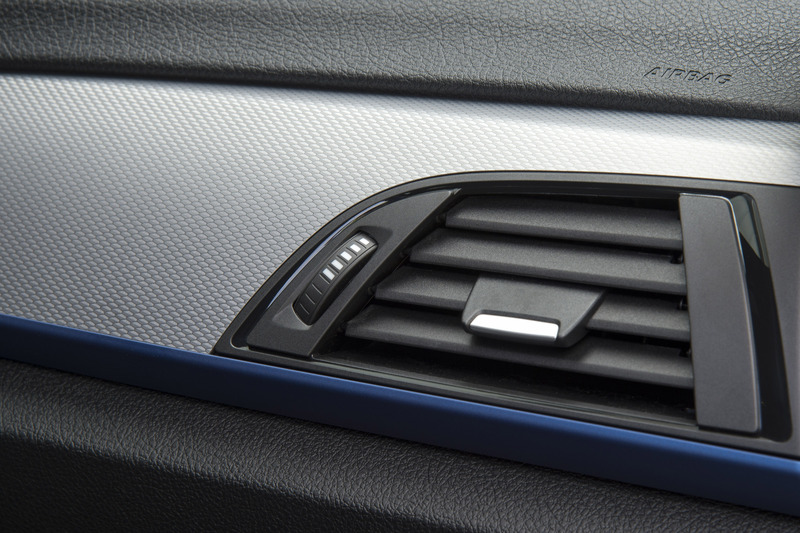 No matter the choice, Auto Start/Stop function is available for both manual and automatic transmissions. 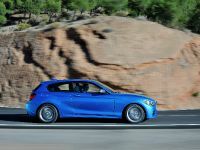 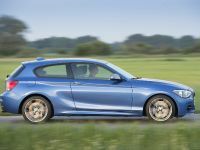 Of course the BMW 120d xDrive and the BMW M135i xDrive will be the first 1 Series models to have this four-wheel drive technology. 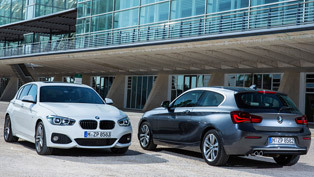 The new three-door model is offered in the BMW Sport Line and the BMW Urban Line versions with special options and equipment. 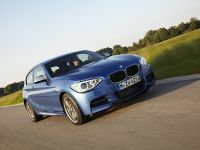 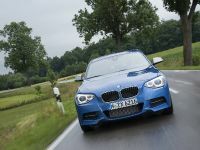 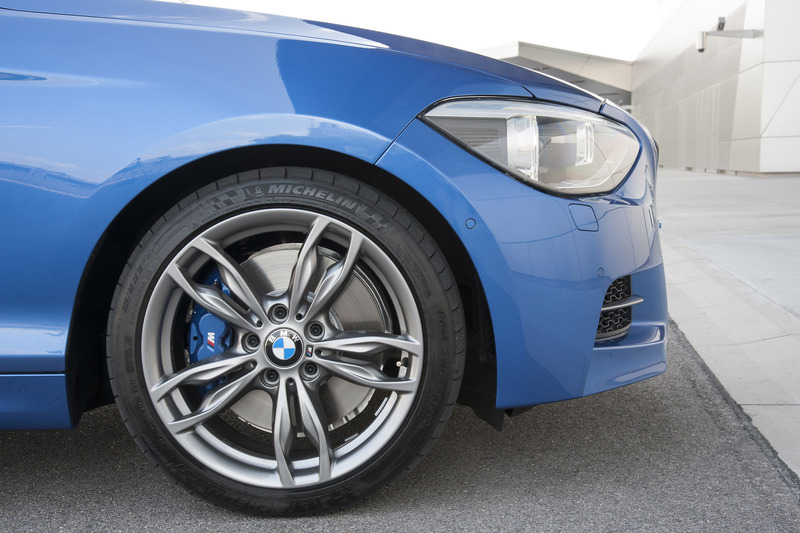 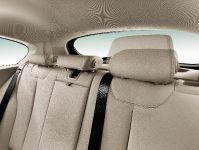 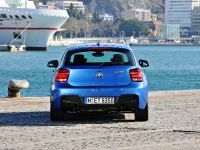 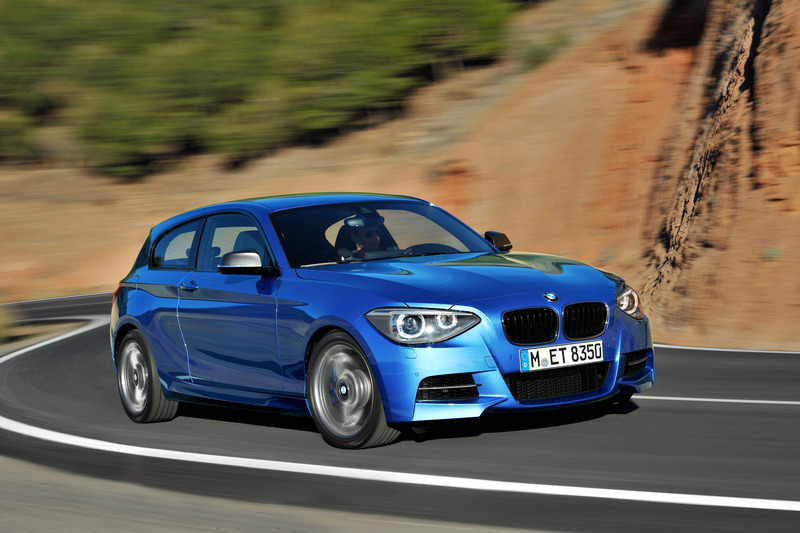 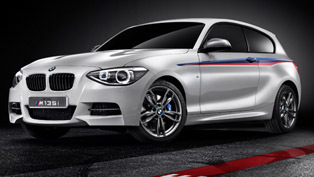 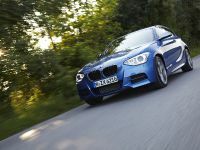 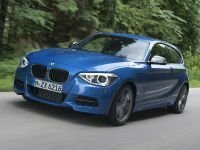 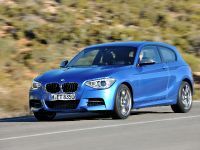 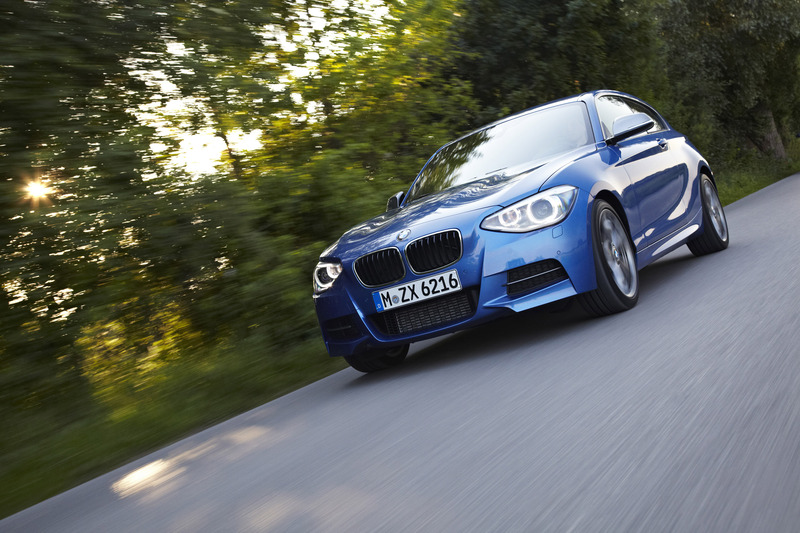 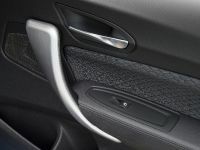 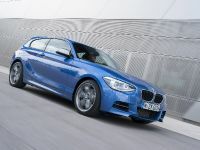 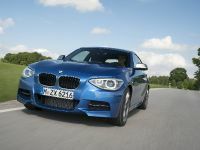 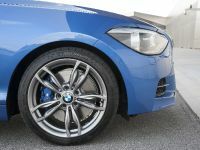 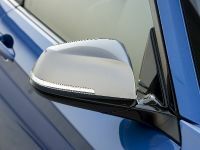 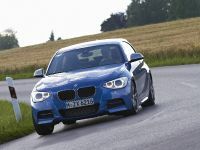 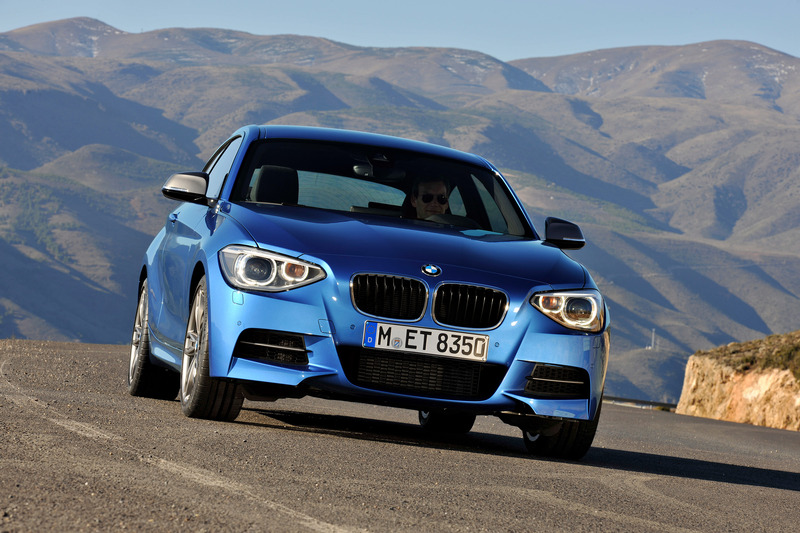 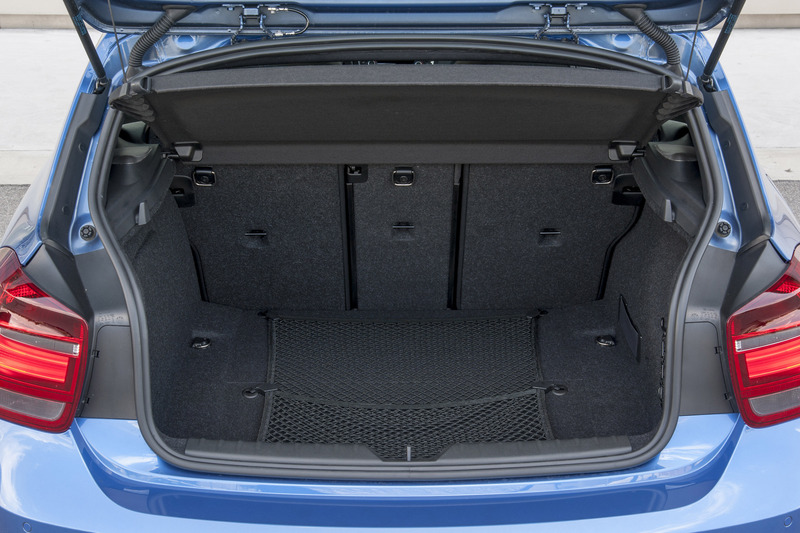 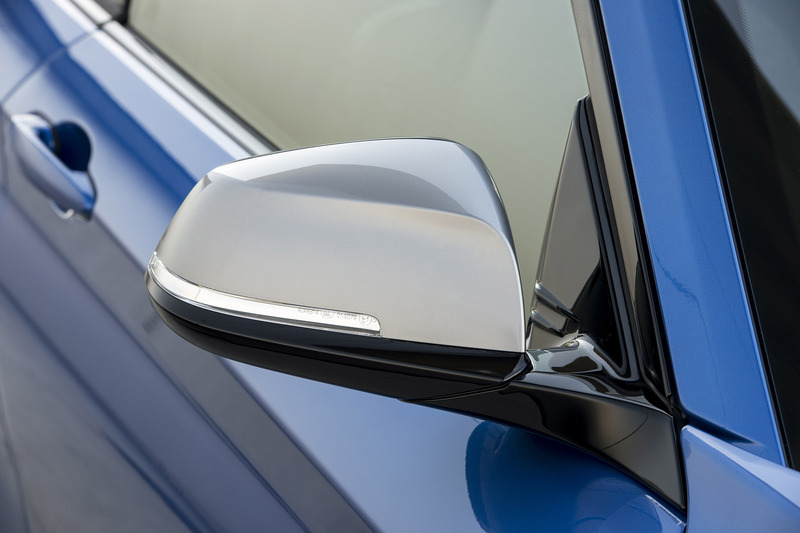 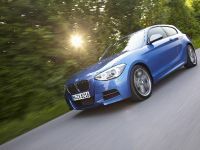 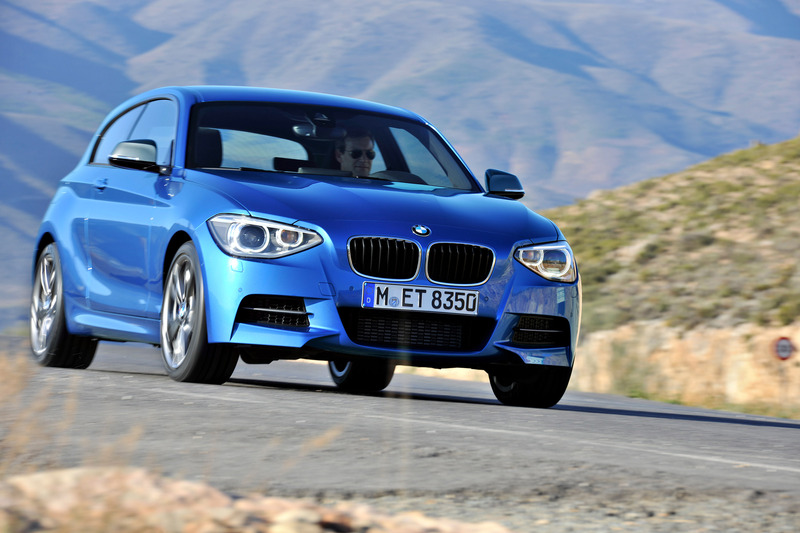 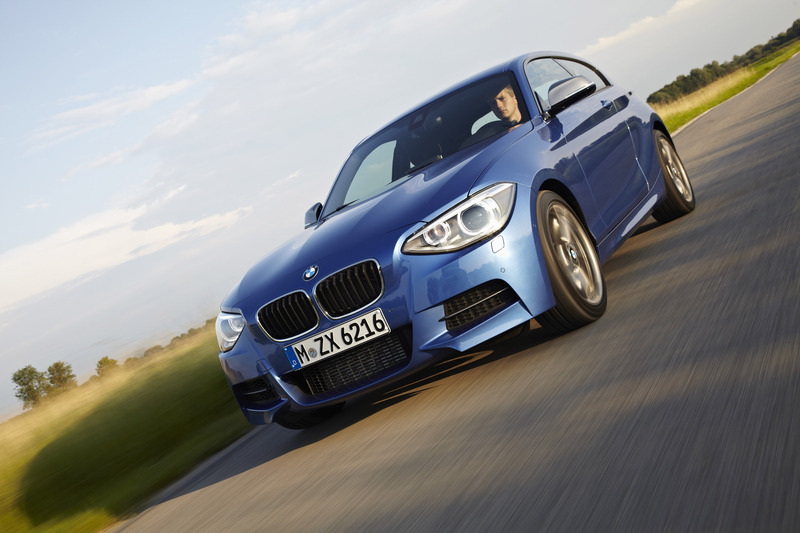 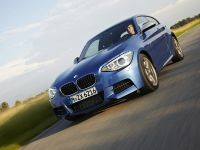 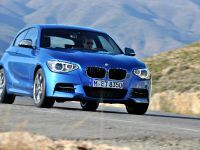 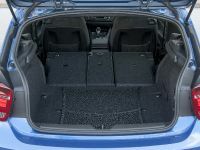 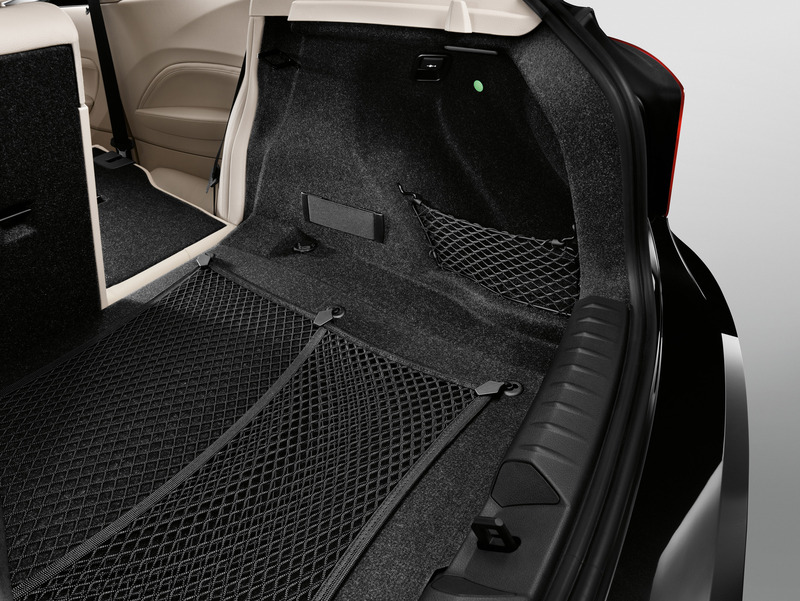 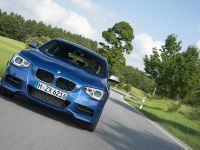 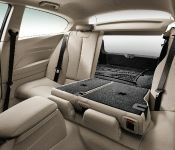 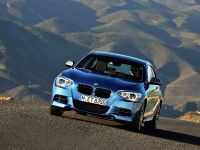 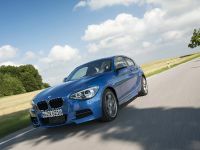 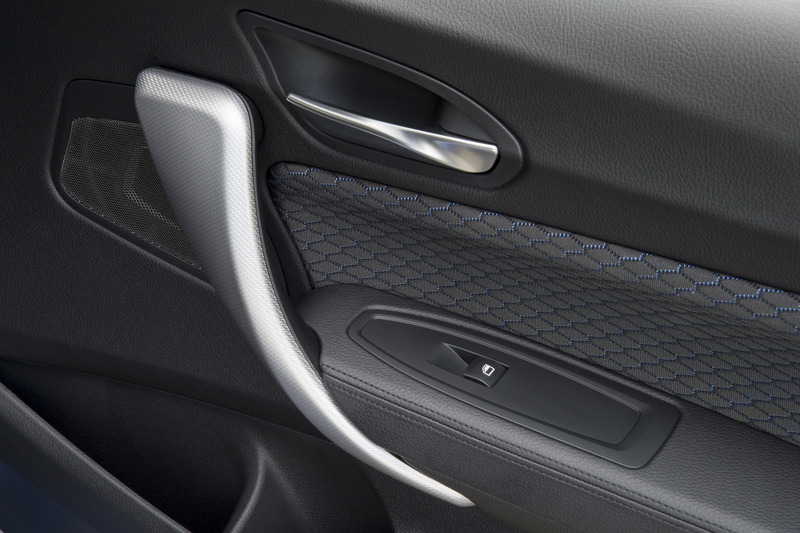 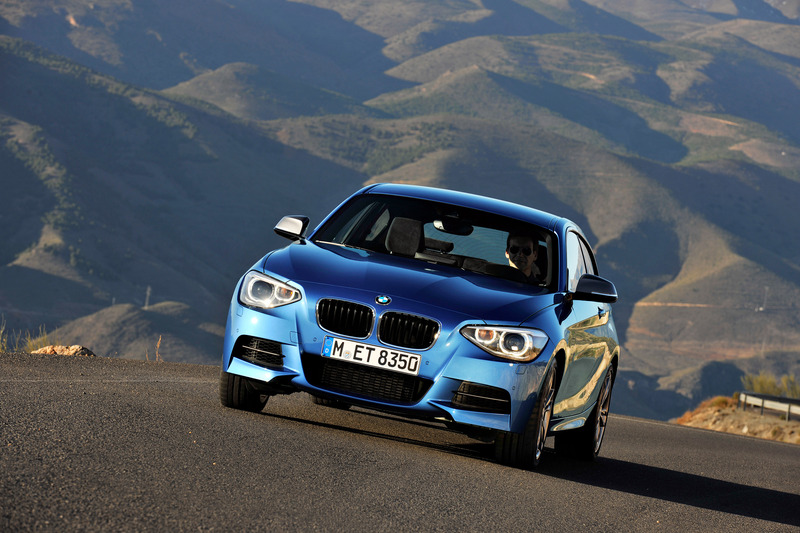 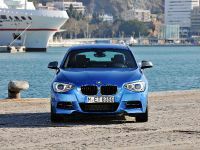 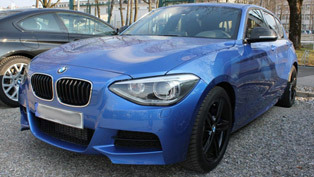 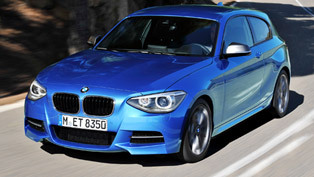 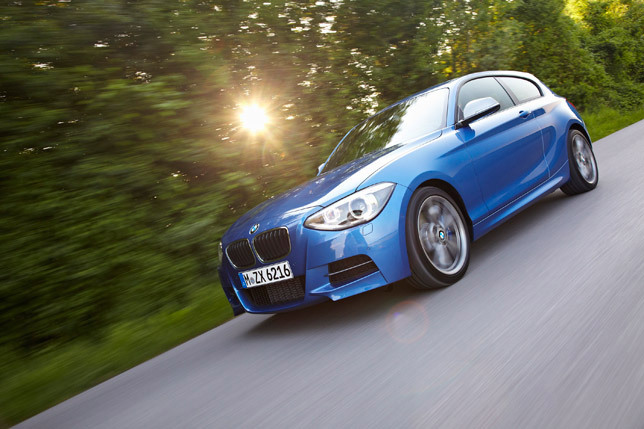 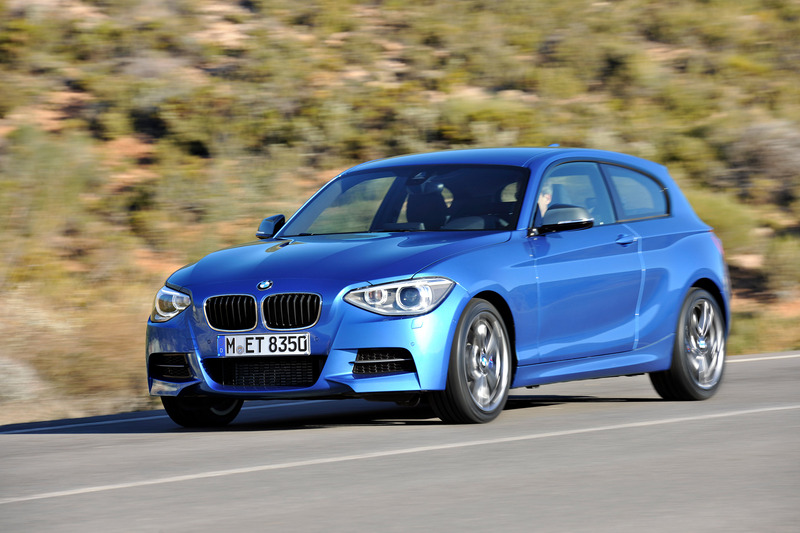 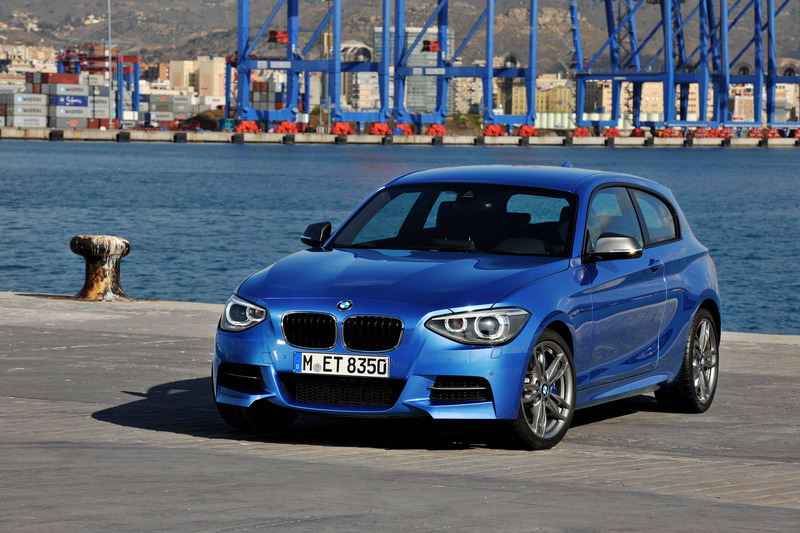 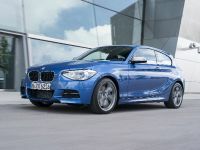 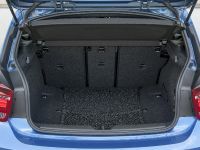 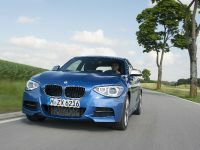 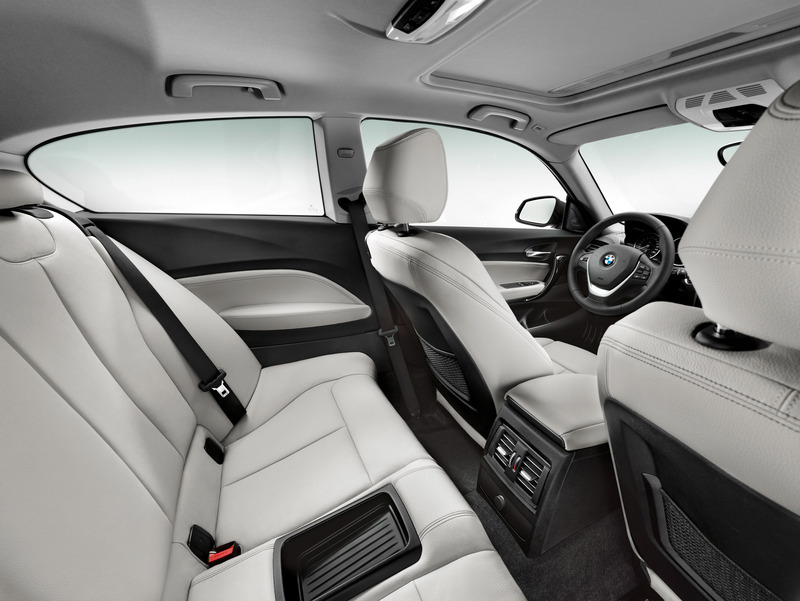 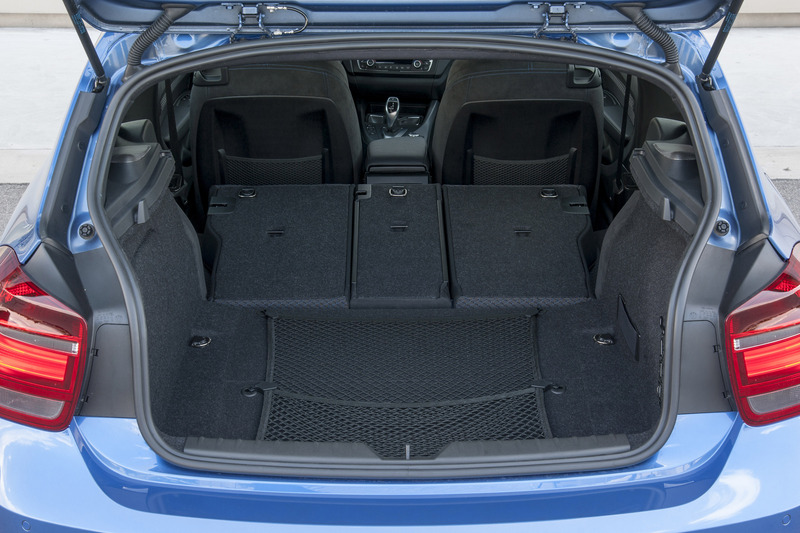 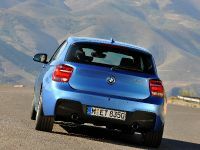 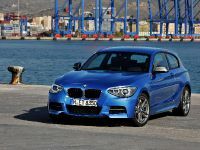 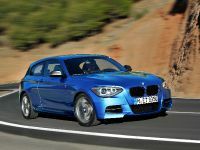 Moreover, the M Sport package will be also available for the new BMW 1 Series three-door model.